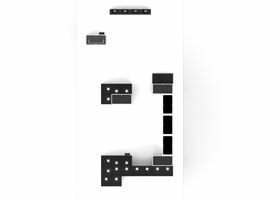 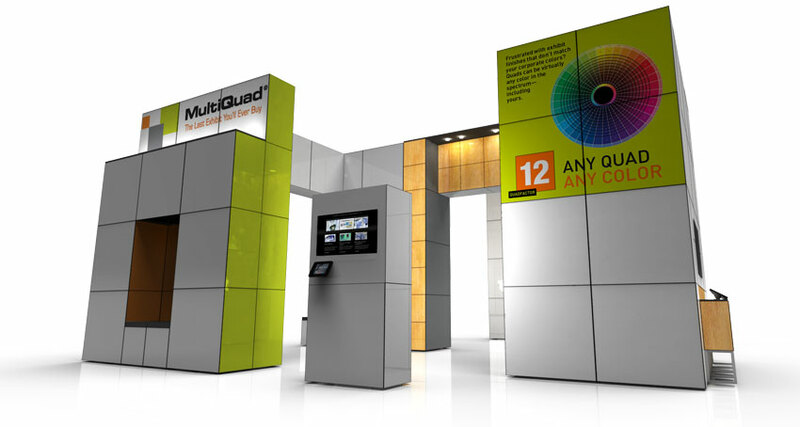 Unlike conventional displays that can only be used in one way, MultiQuad components can be rearranged, added to and taken away from. 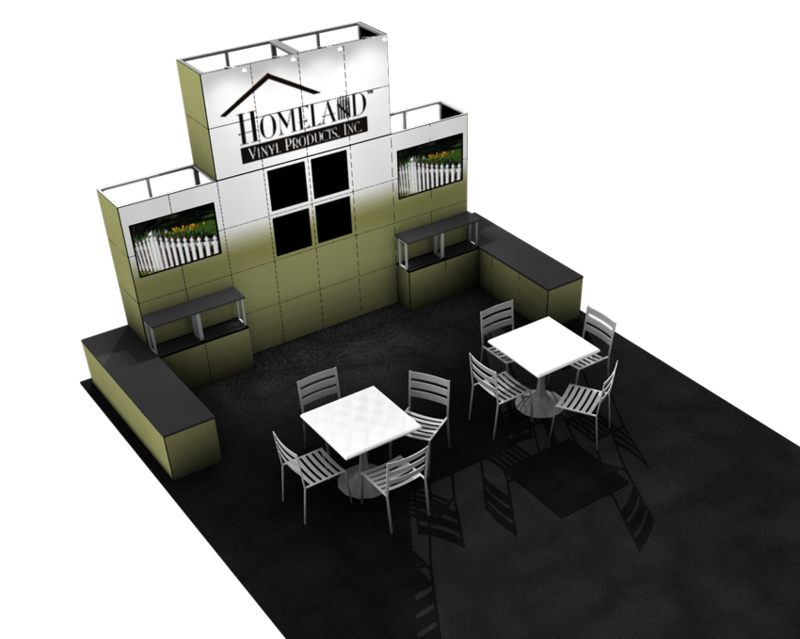 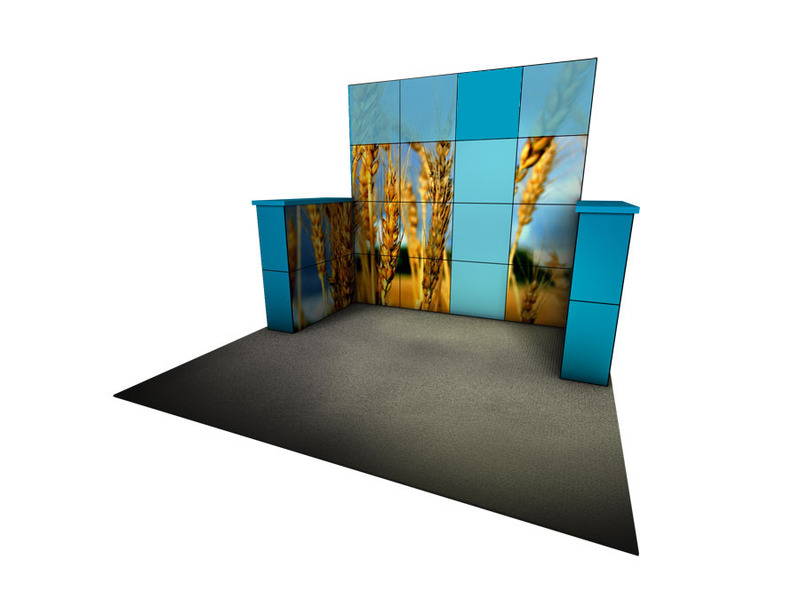 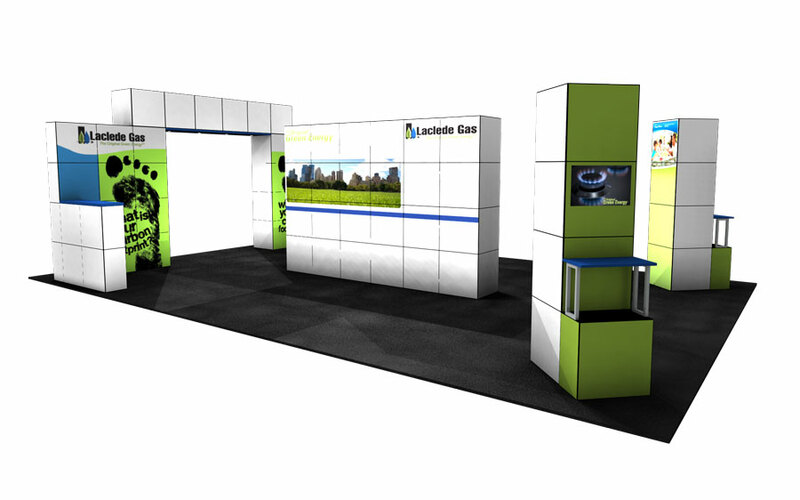 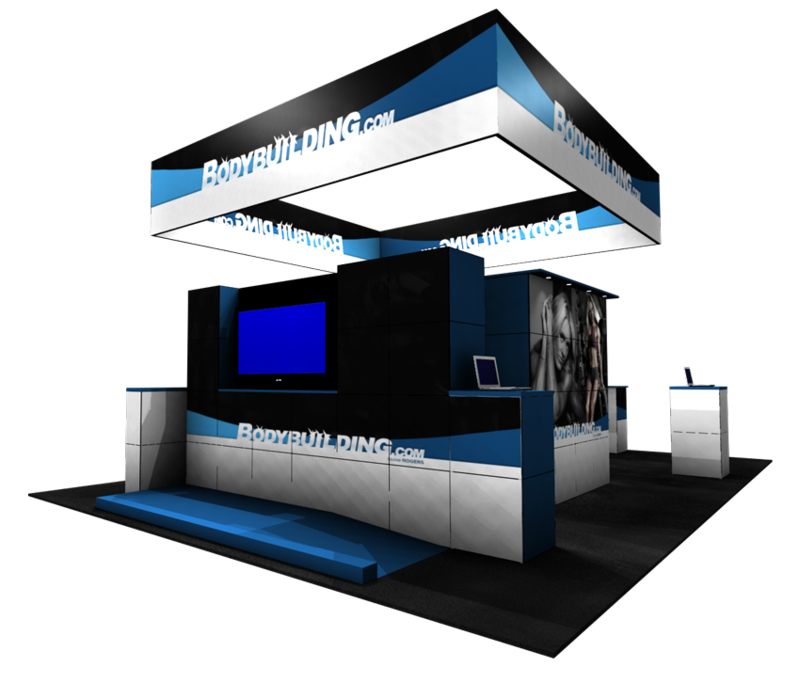 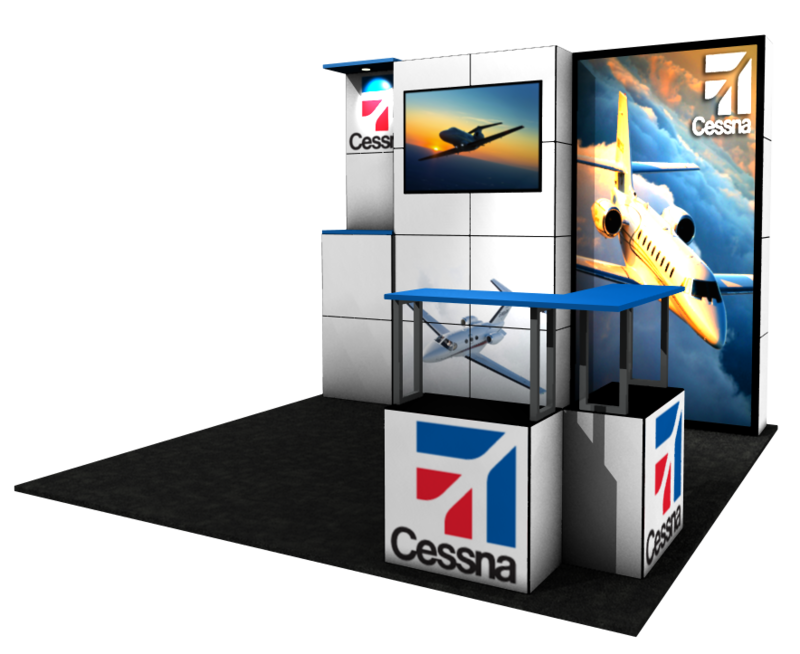 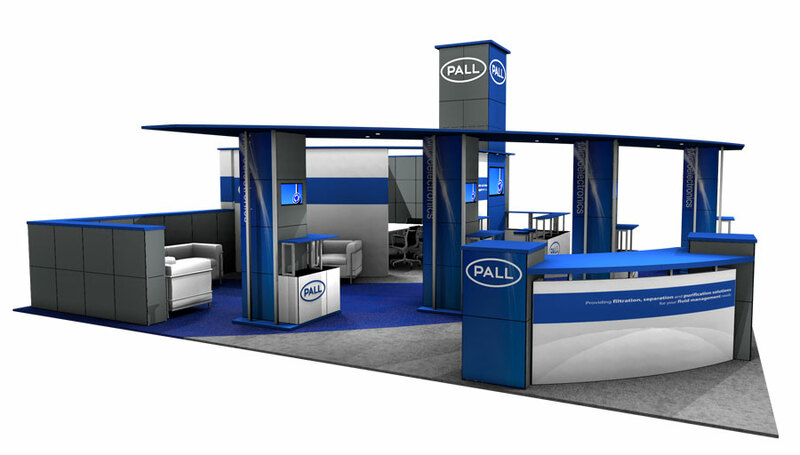 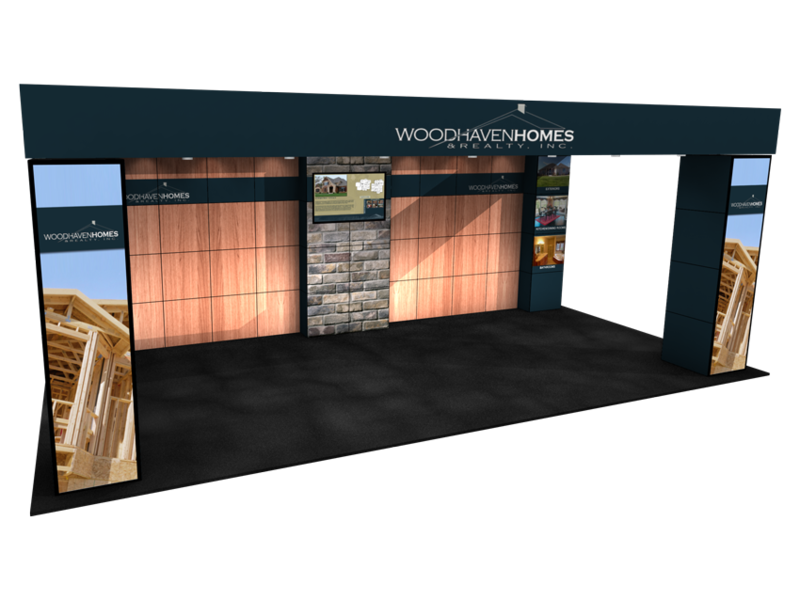 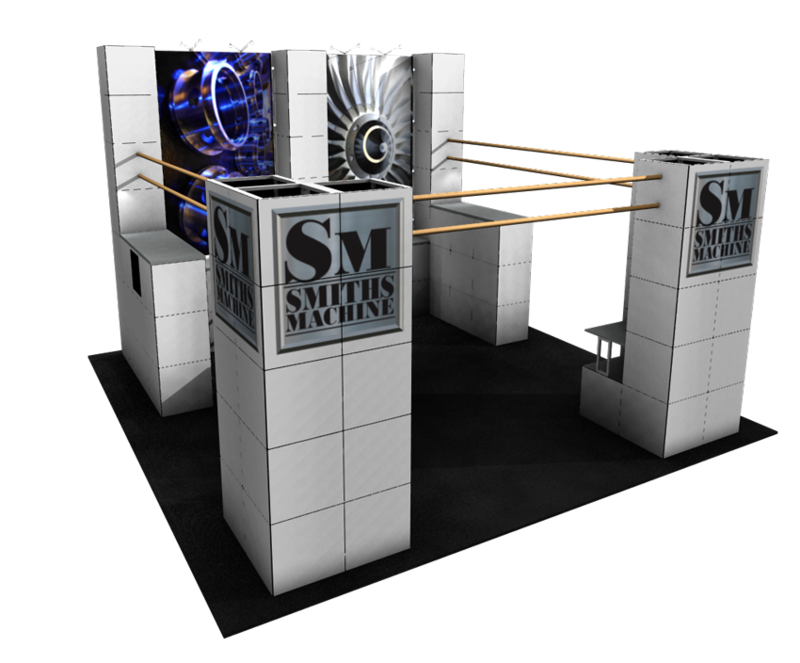 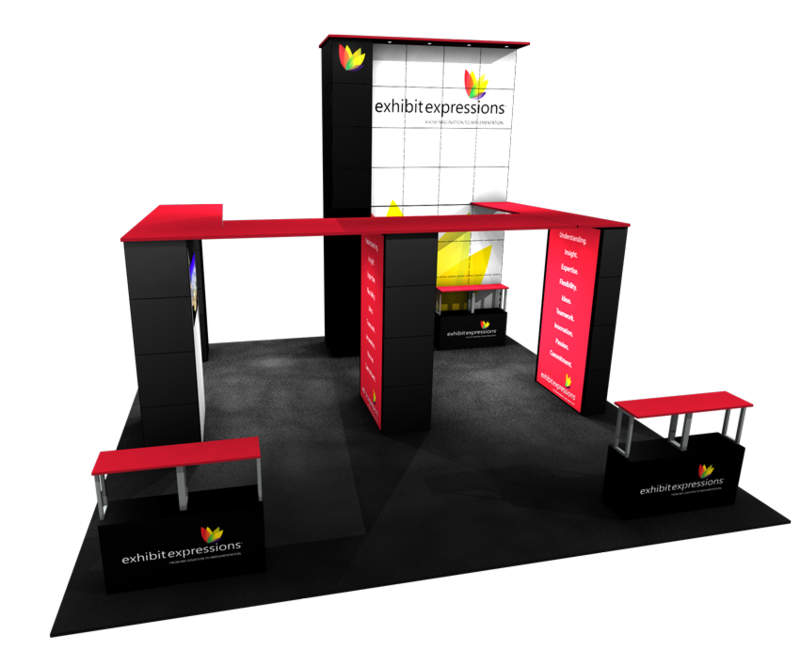 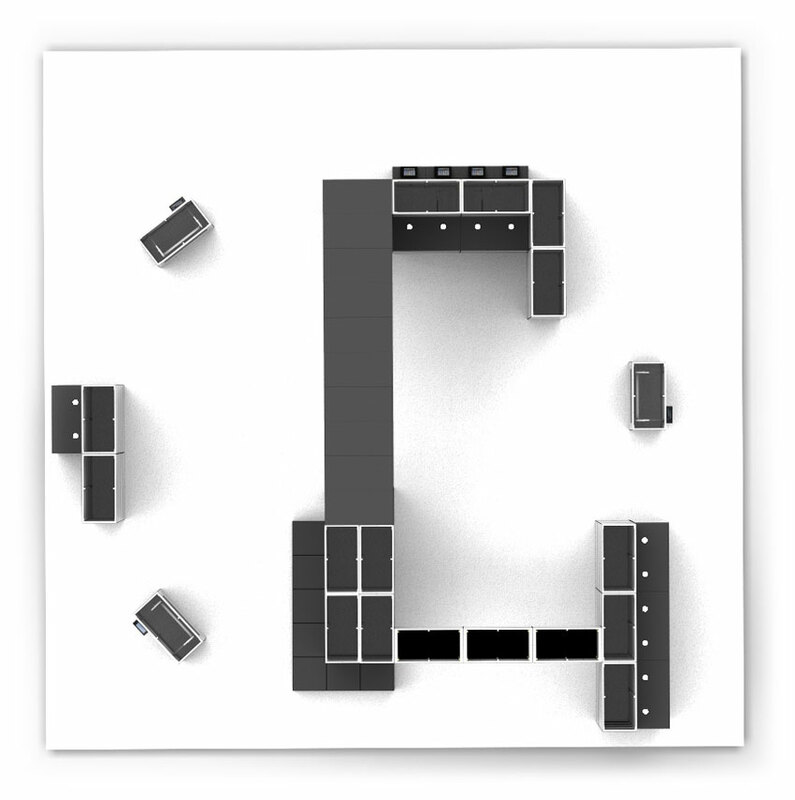 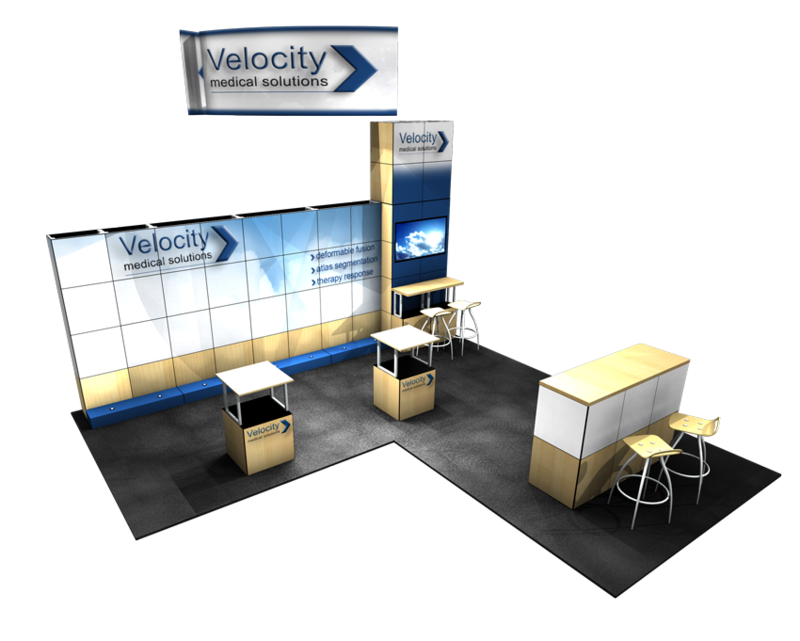 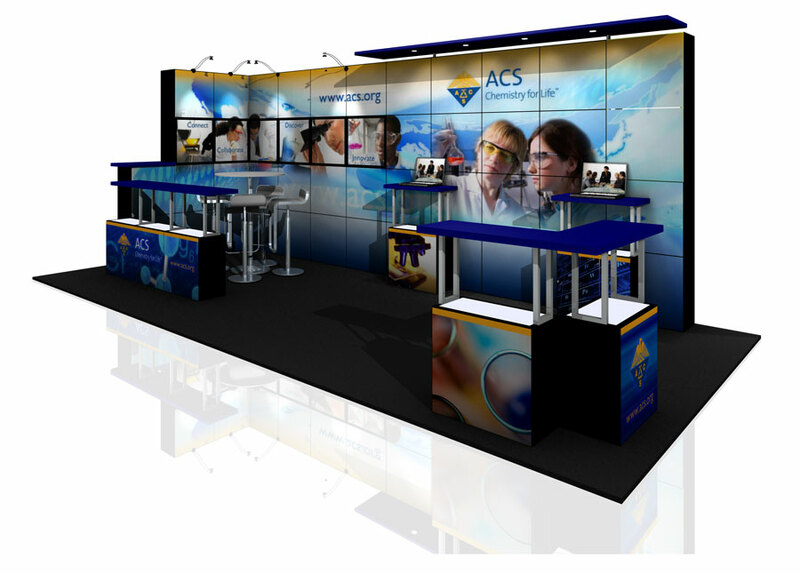 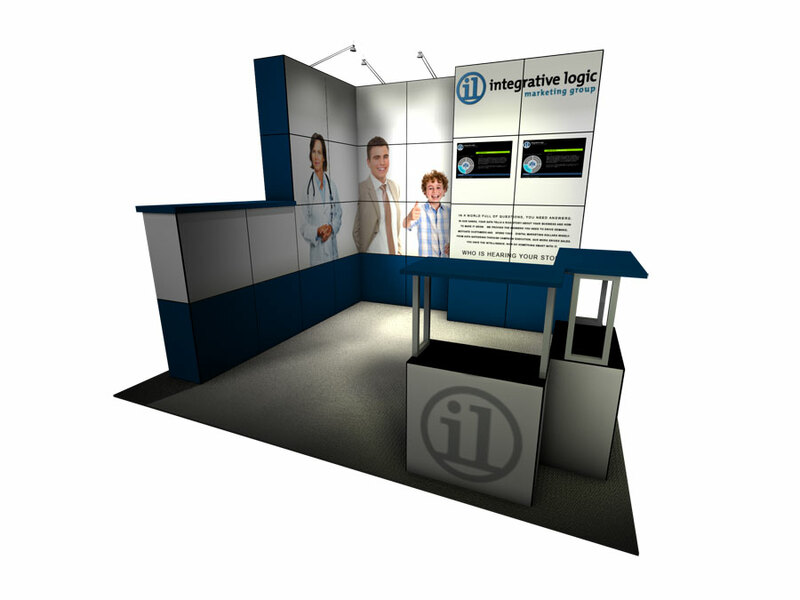 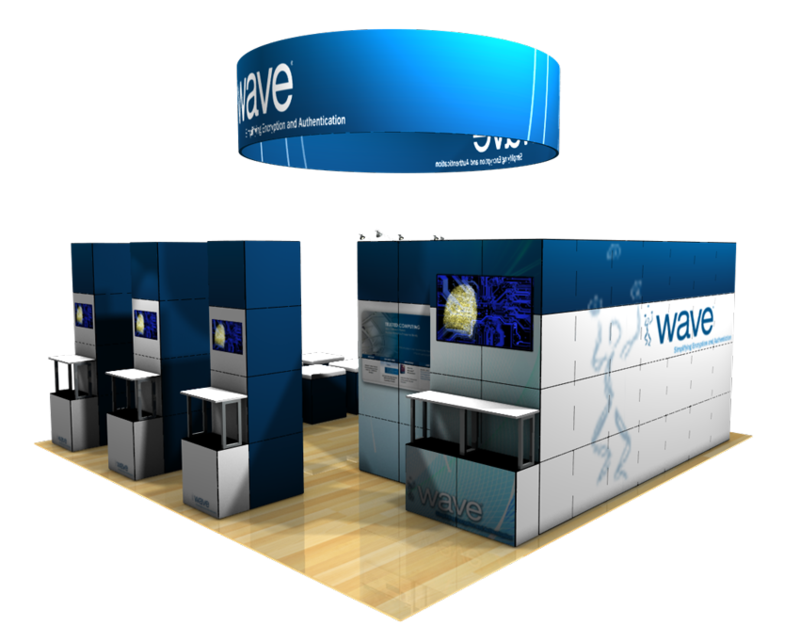 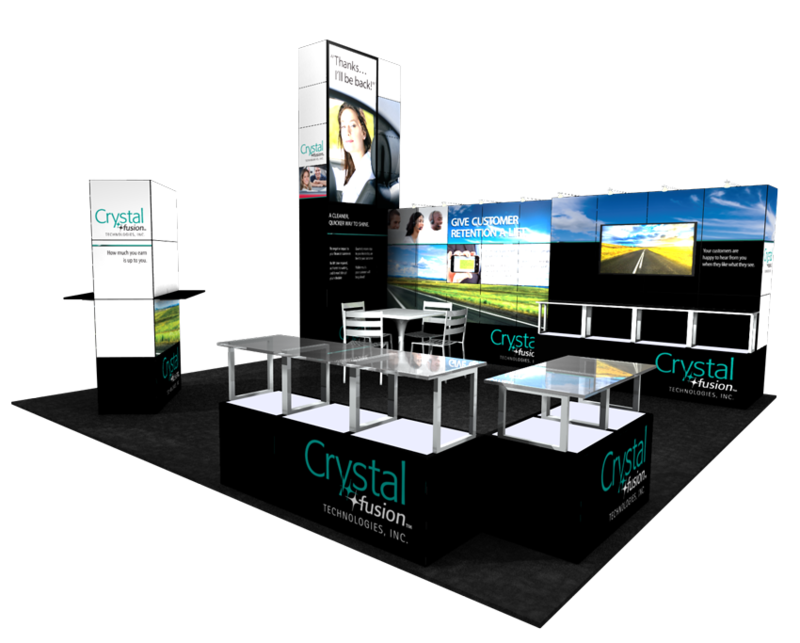 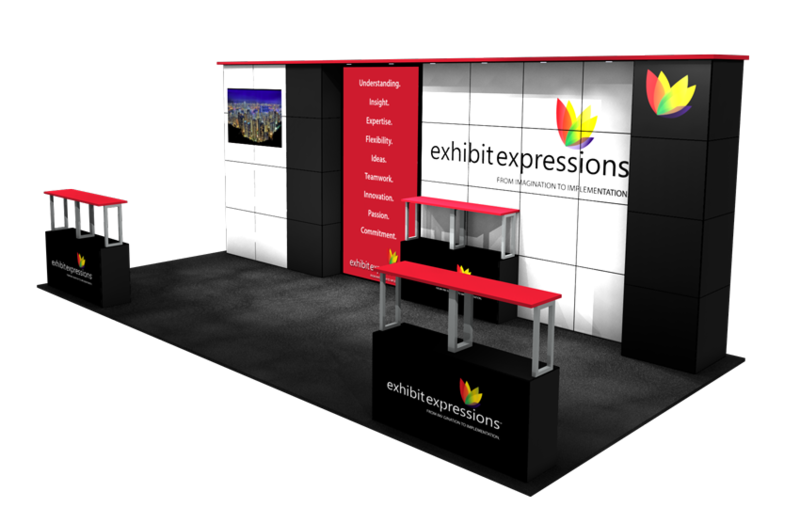 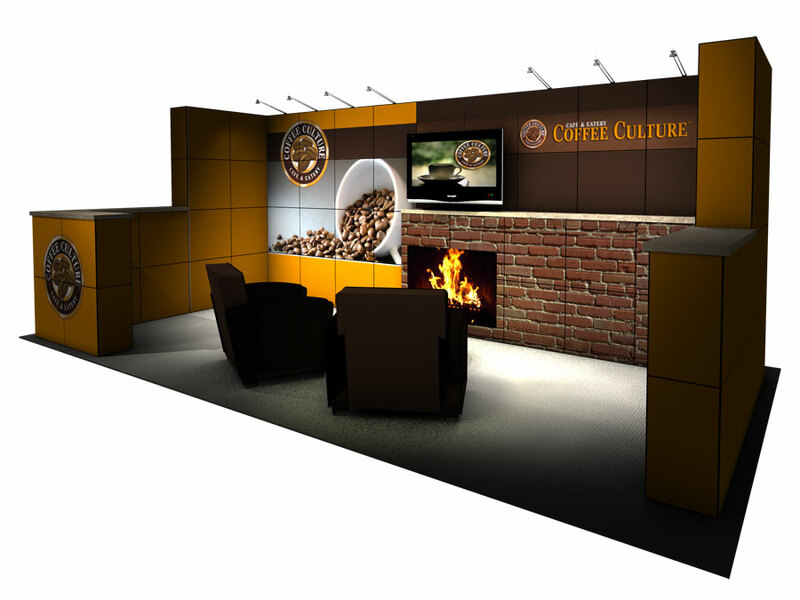 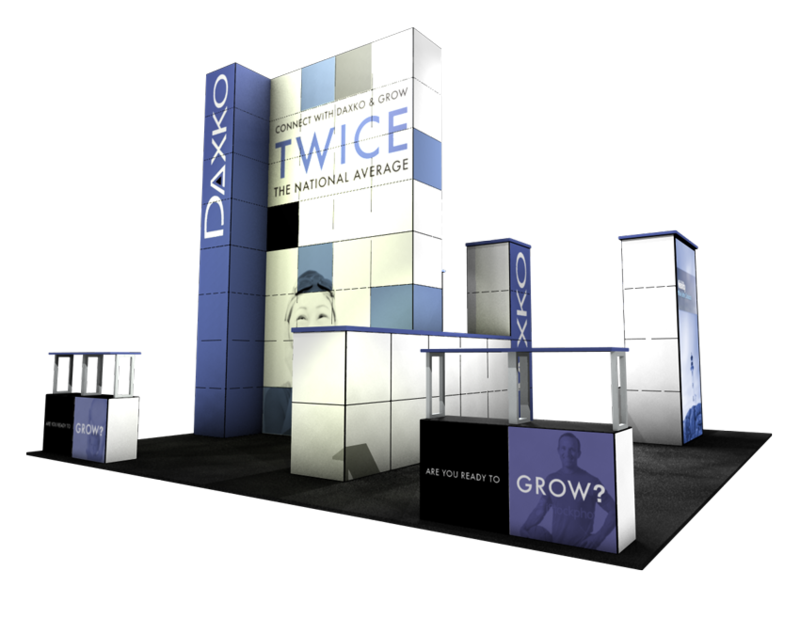 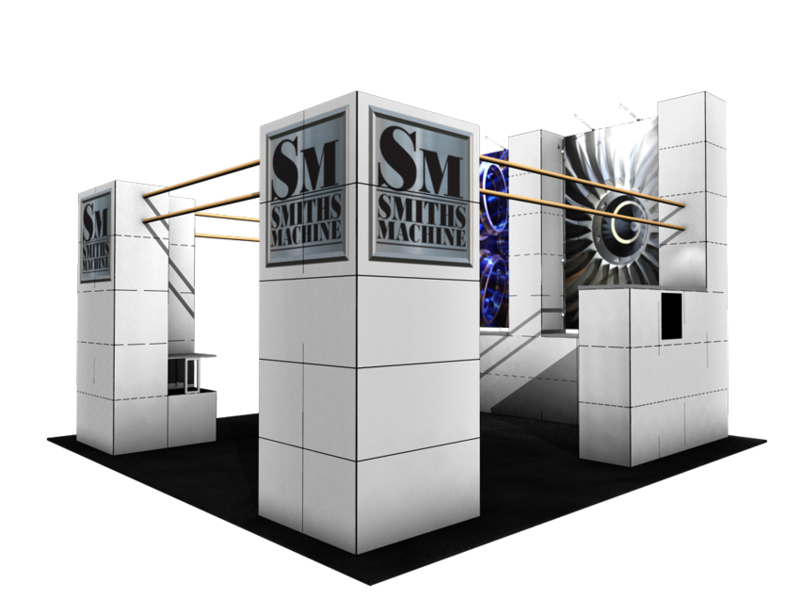 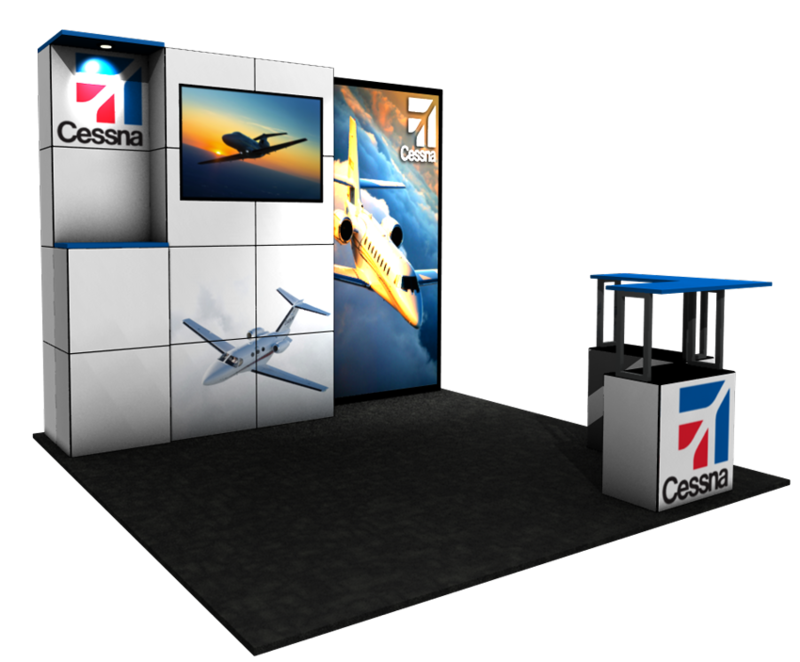 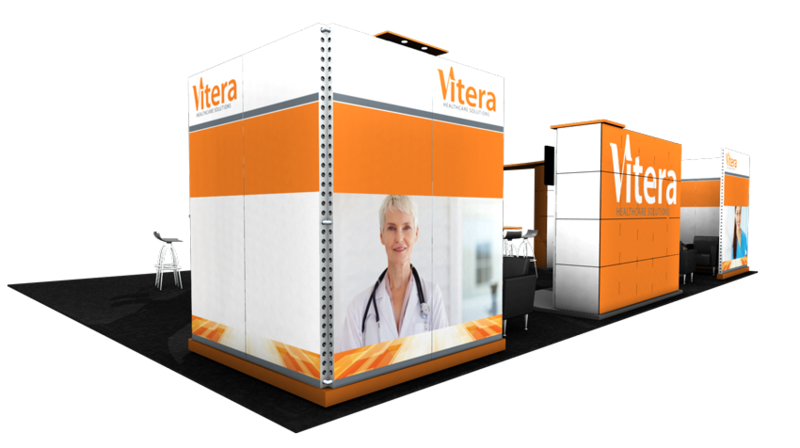 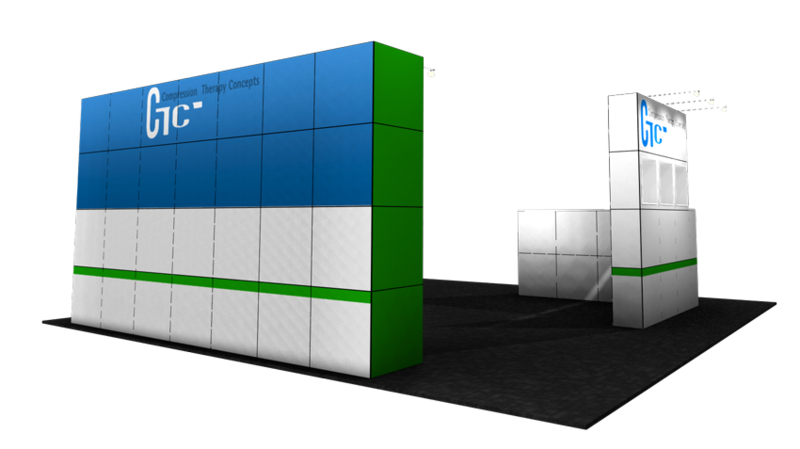 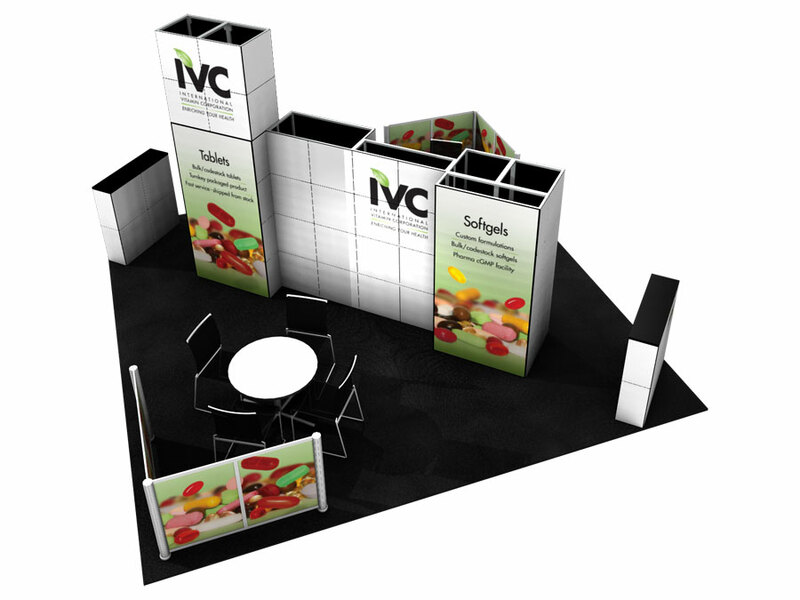 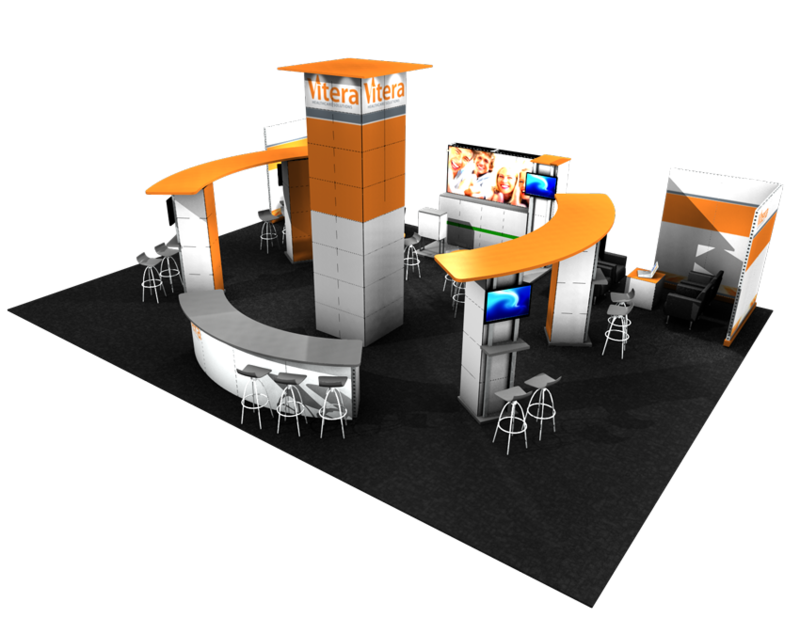 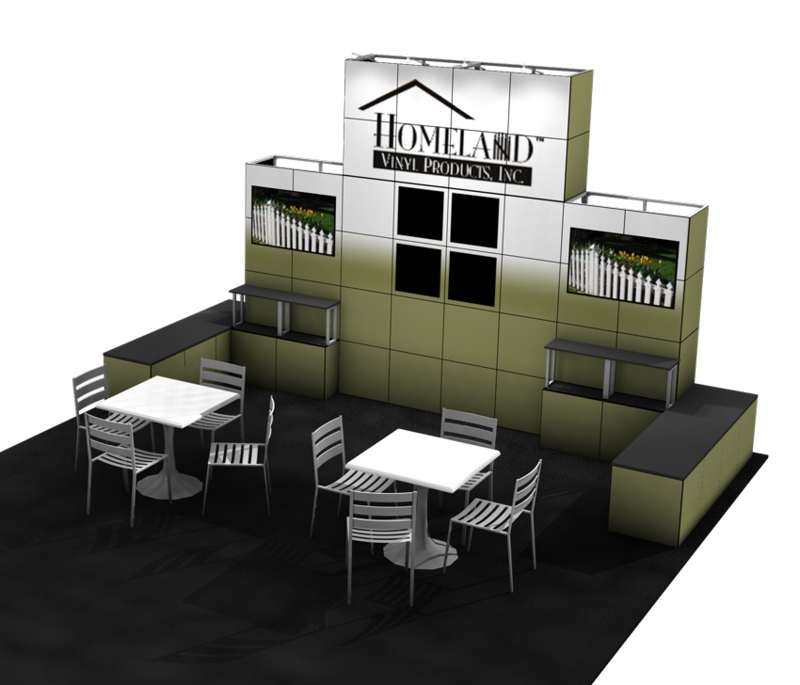 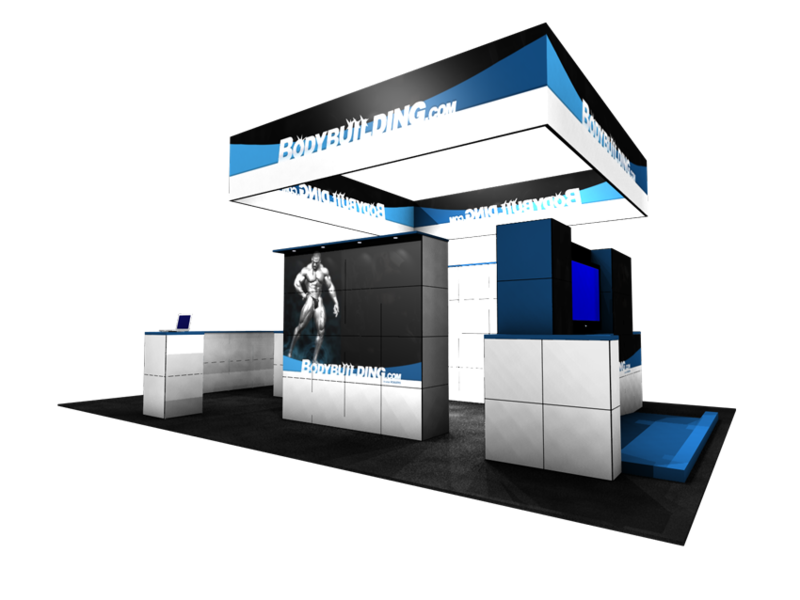 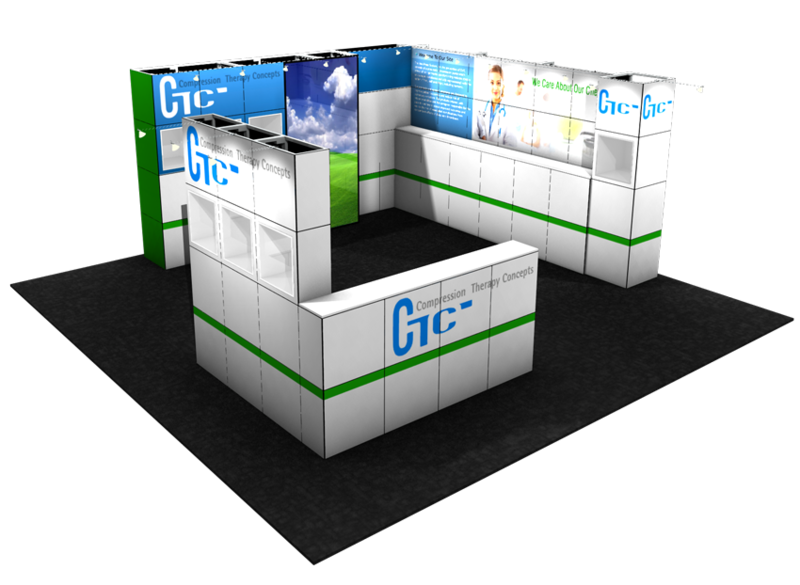 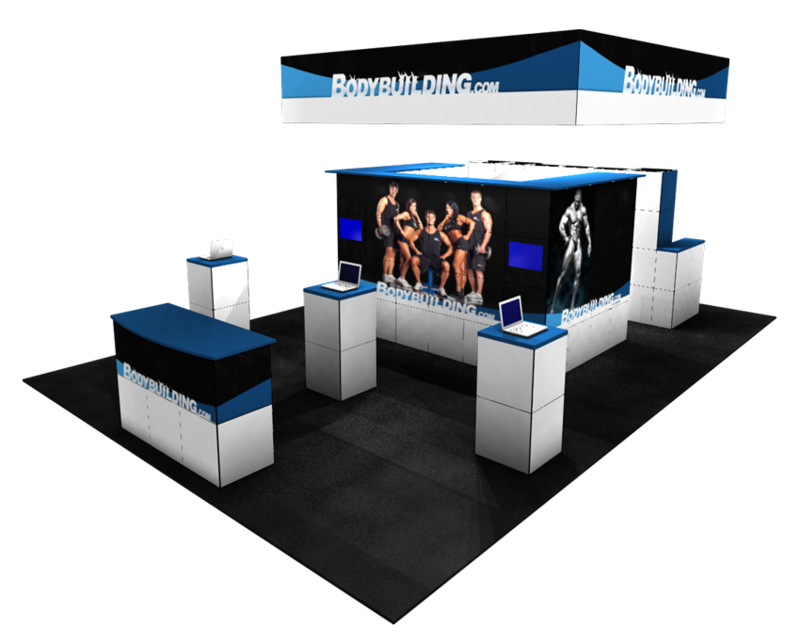 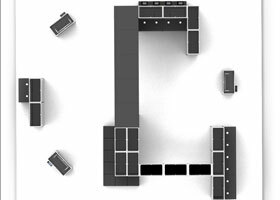 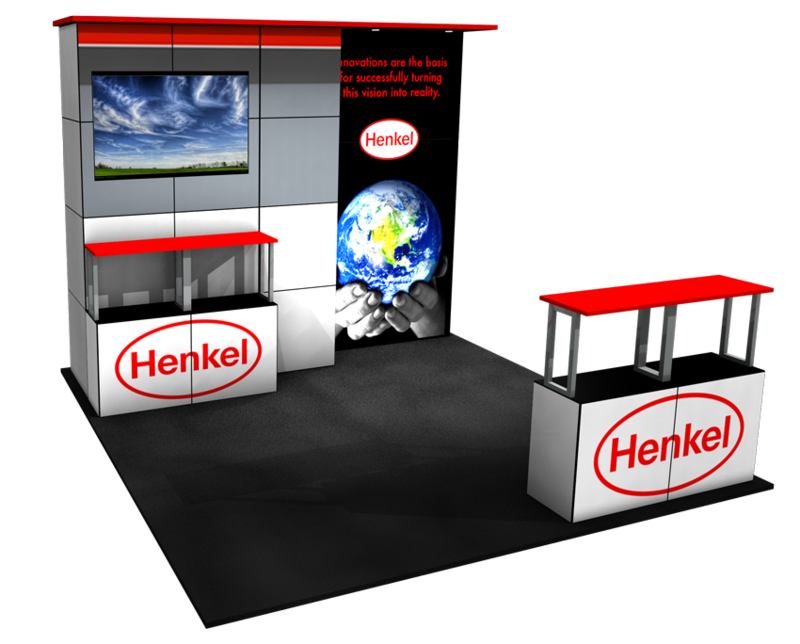 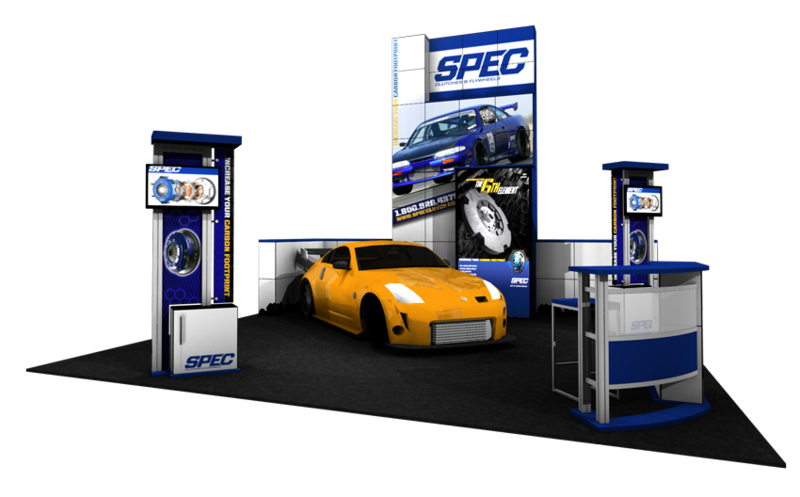 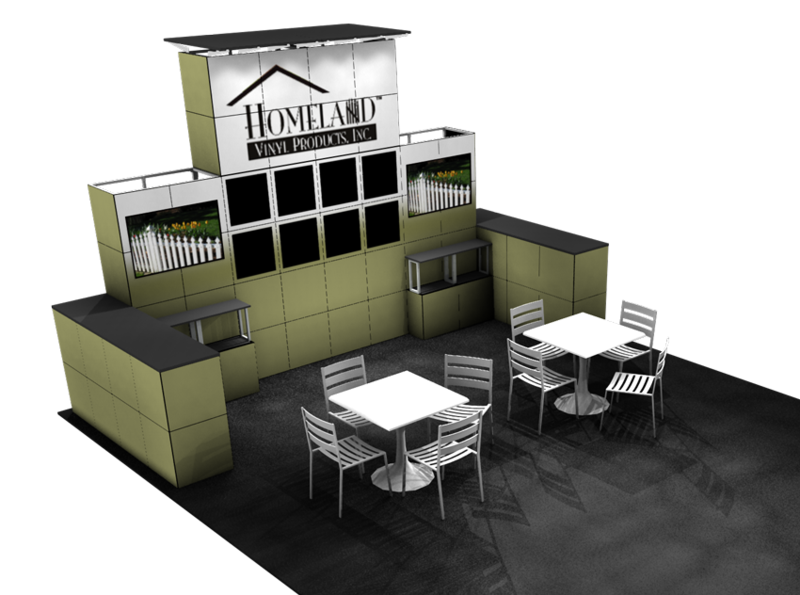 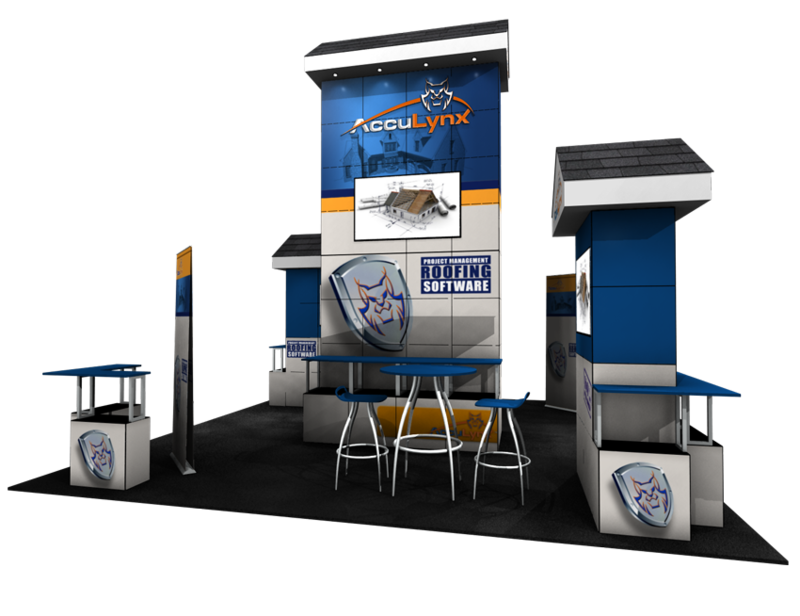 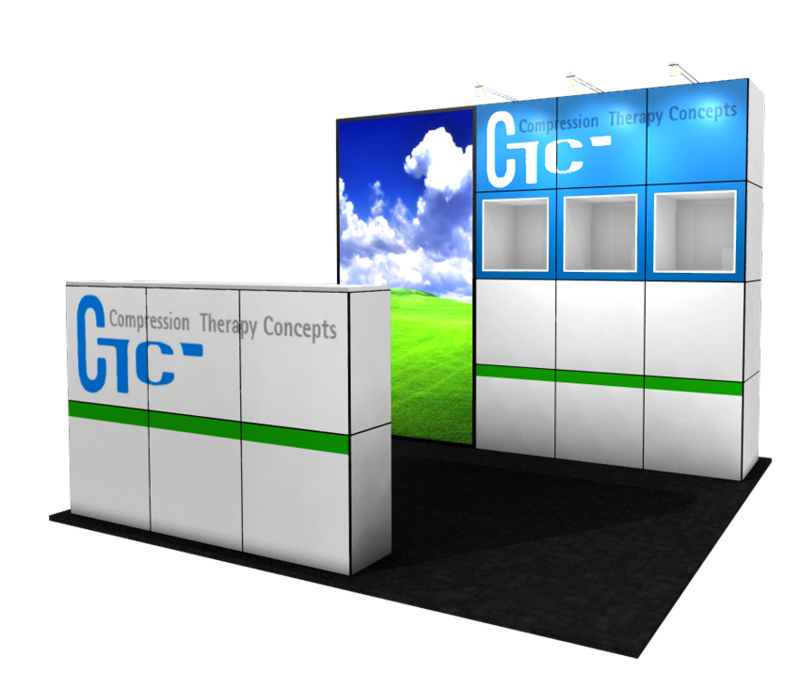 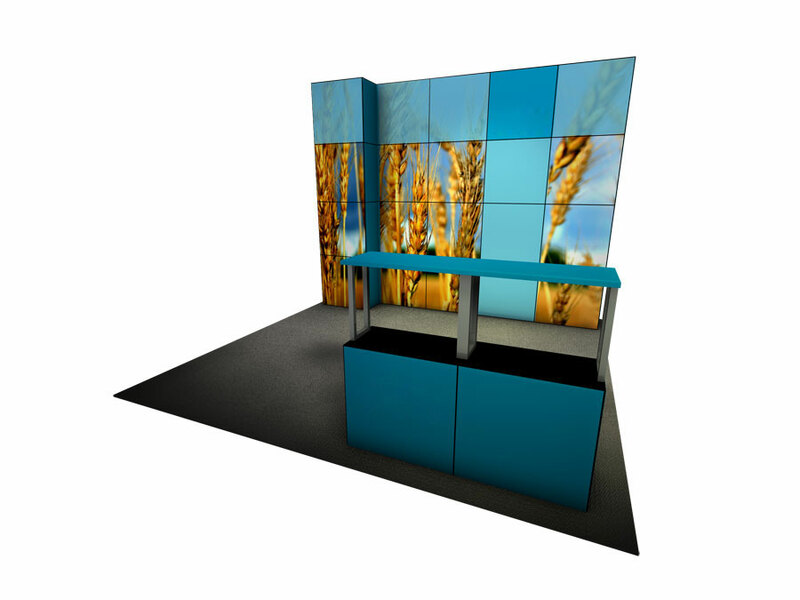 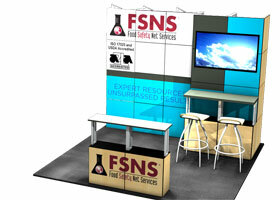 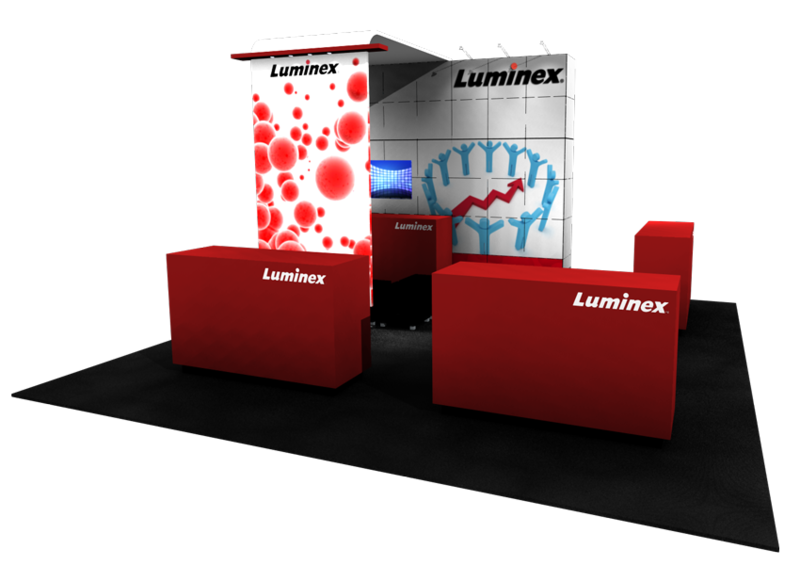 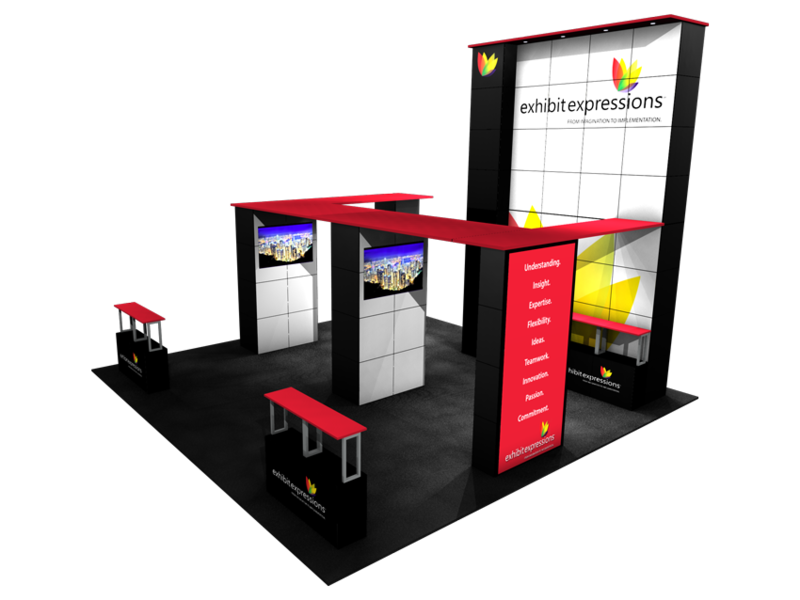 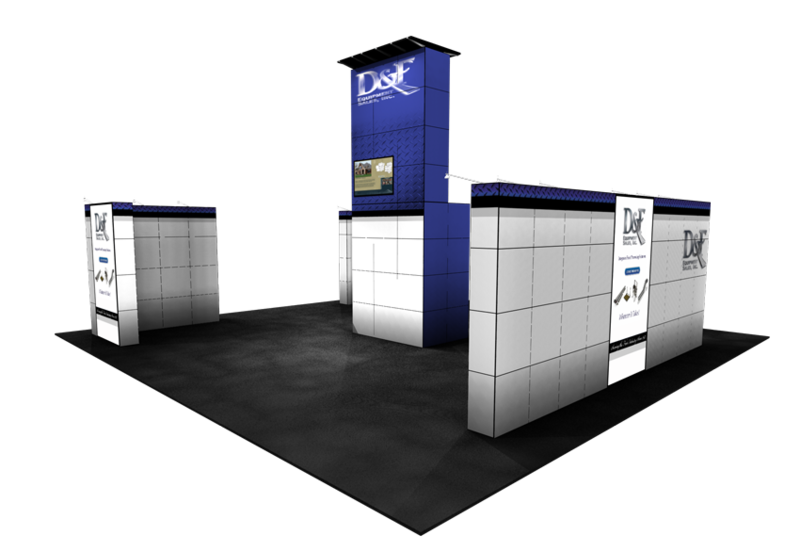 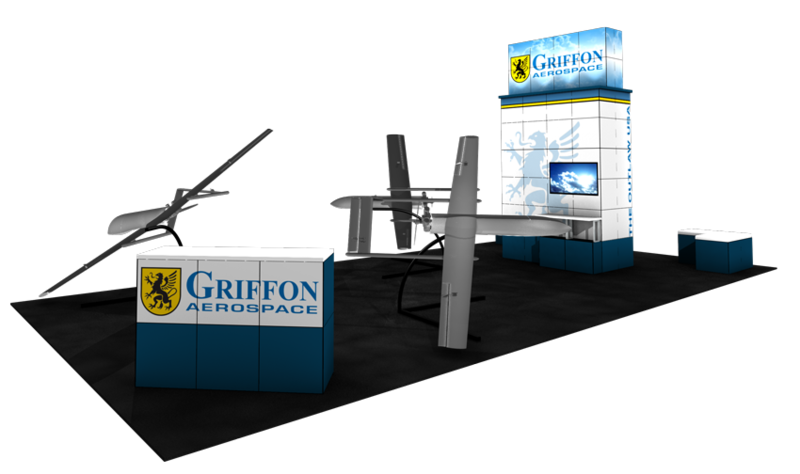 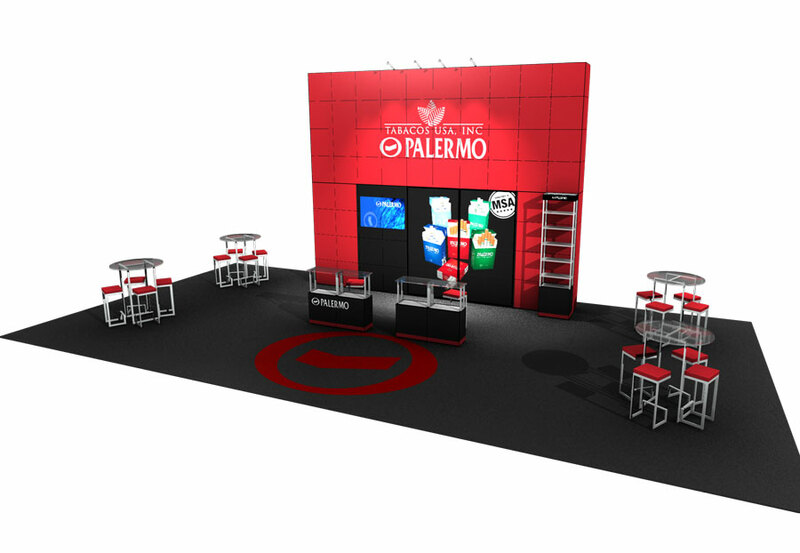 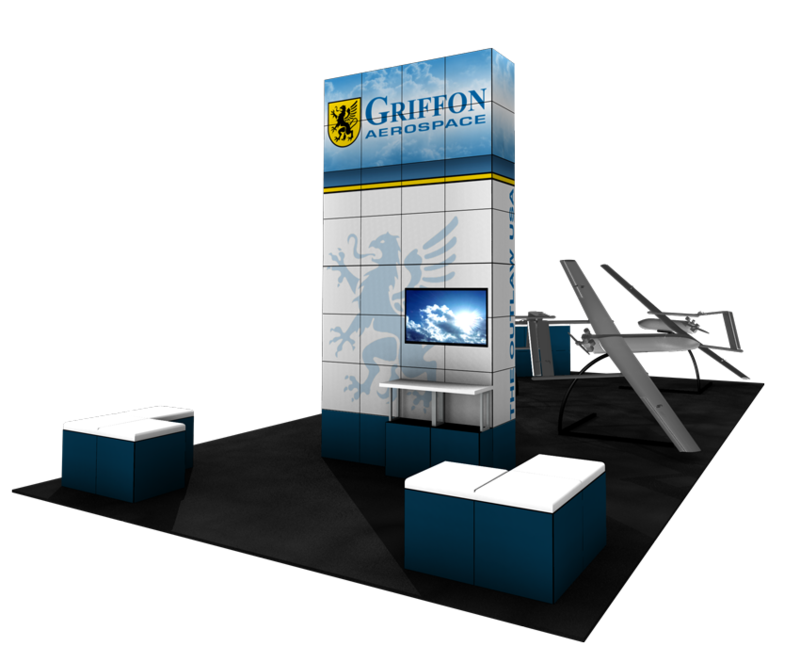 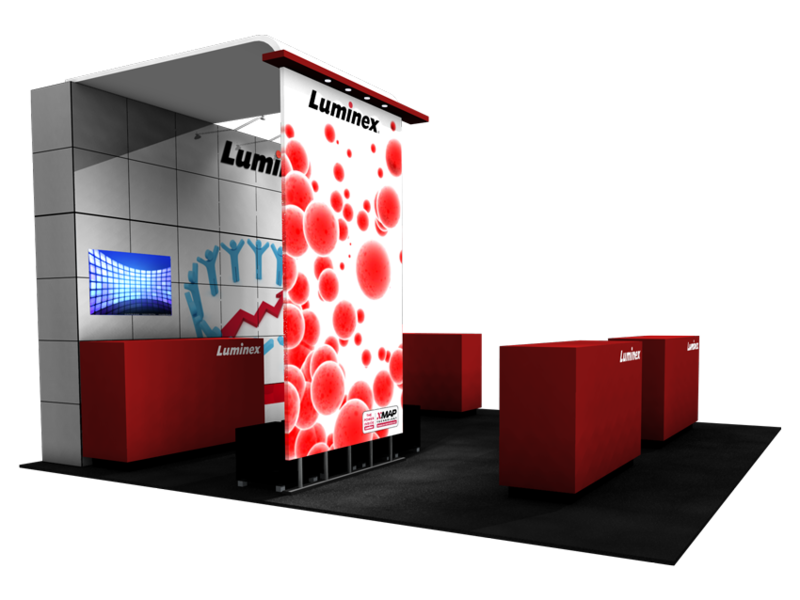 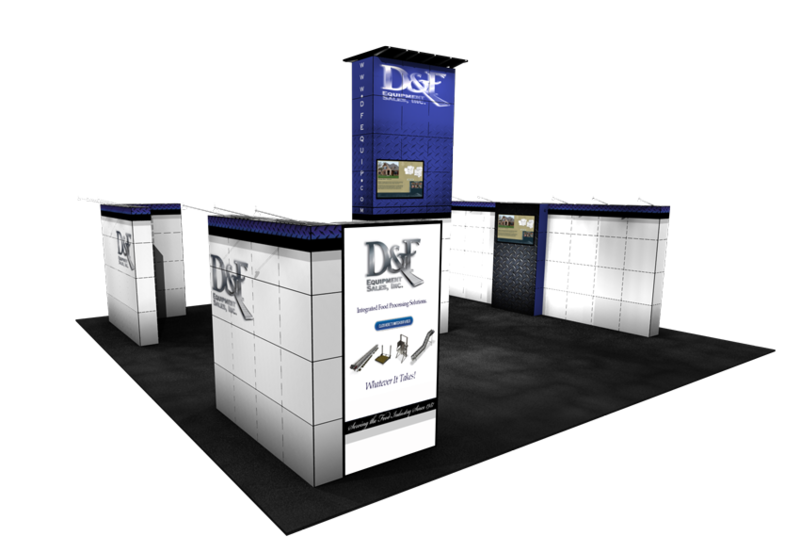 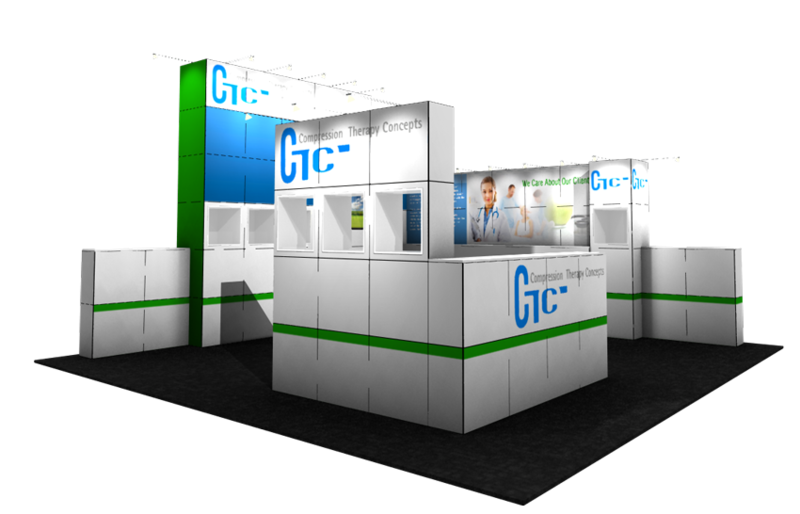 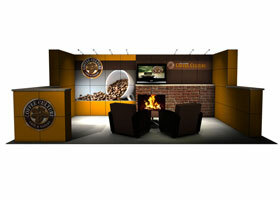 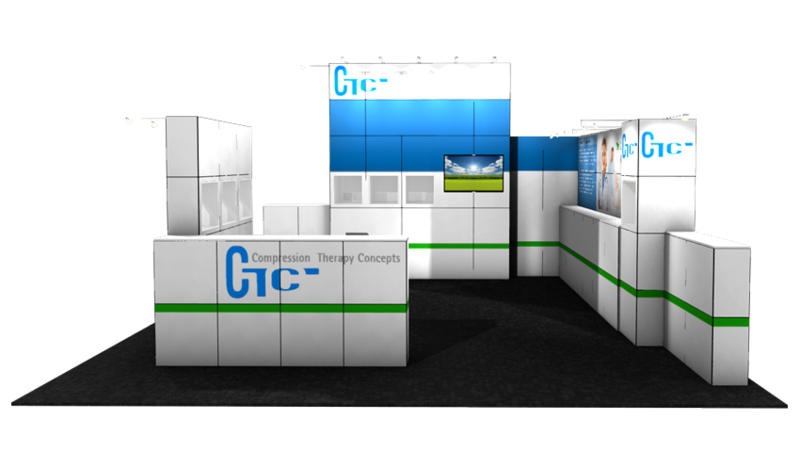 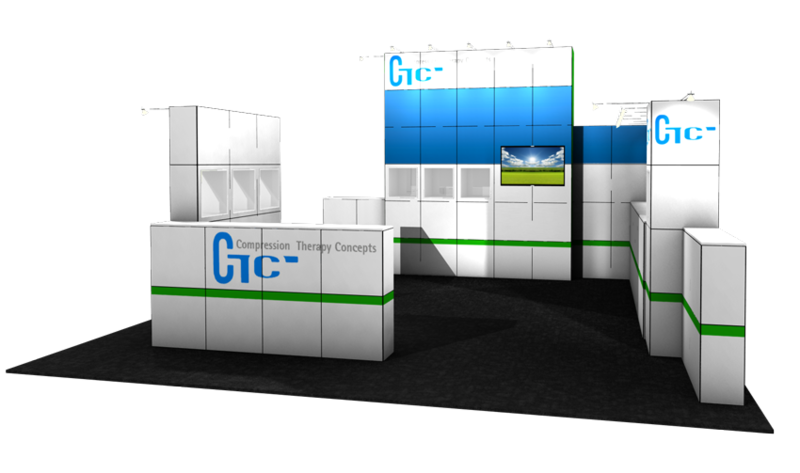 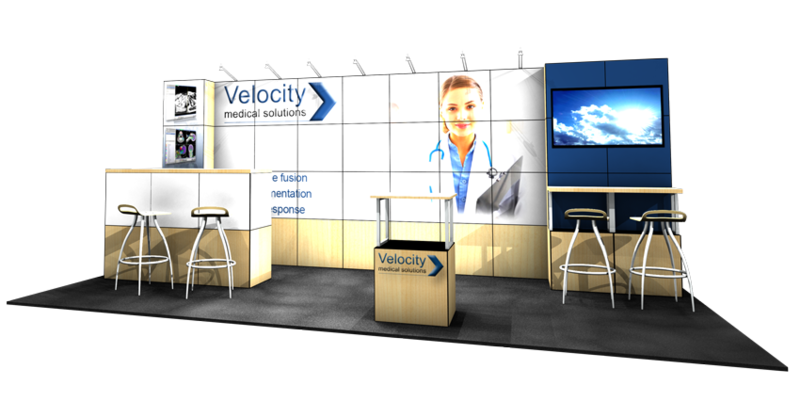 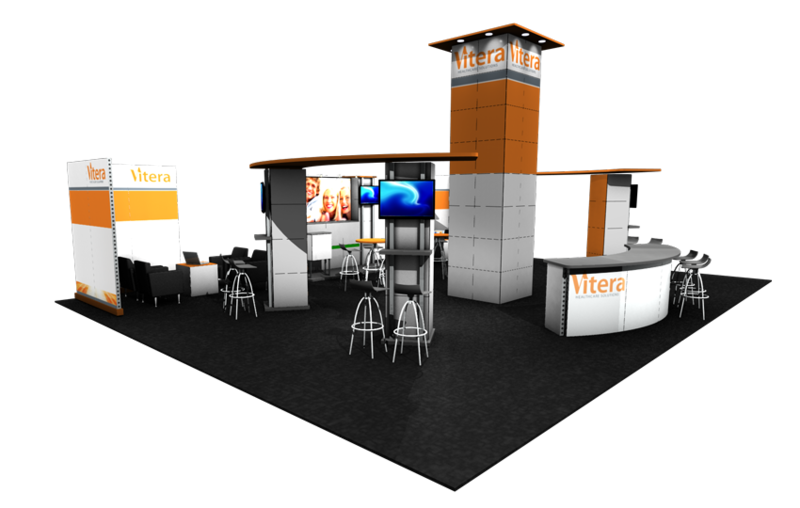 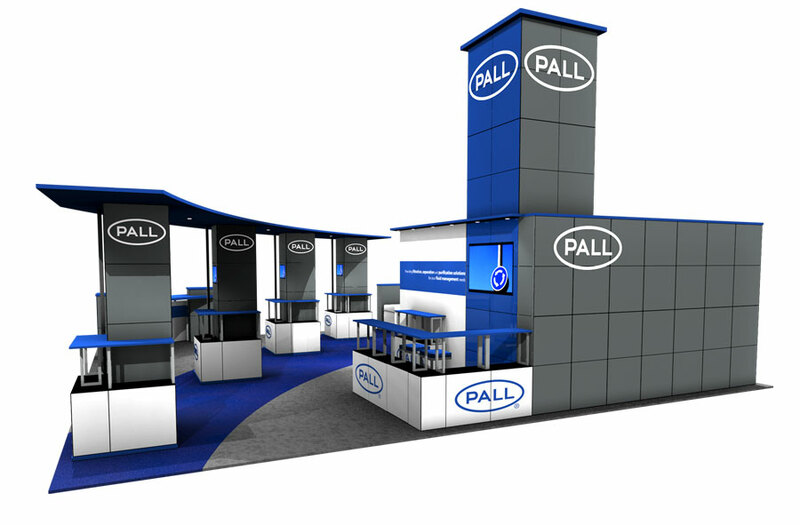 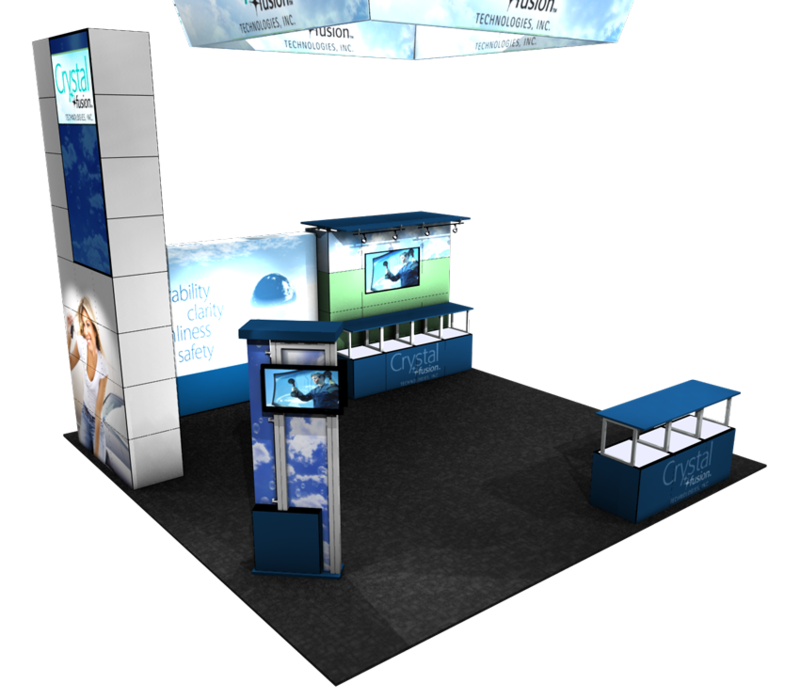 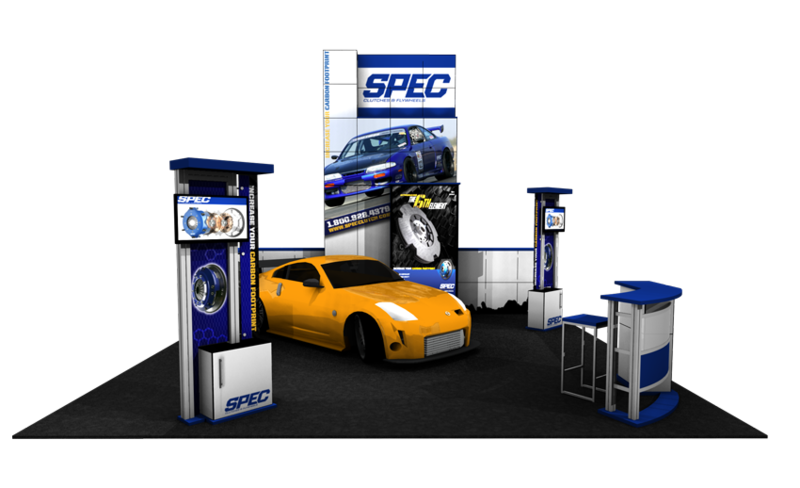 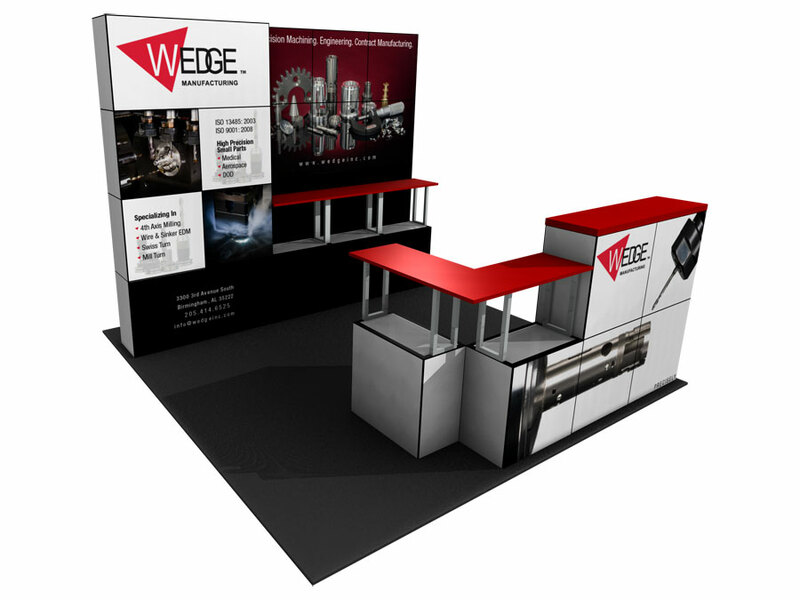 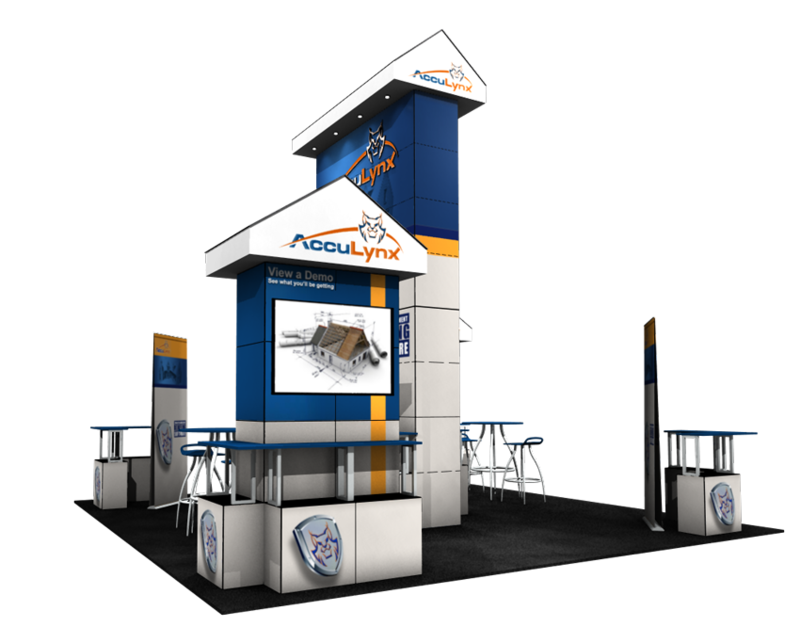 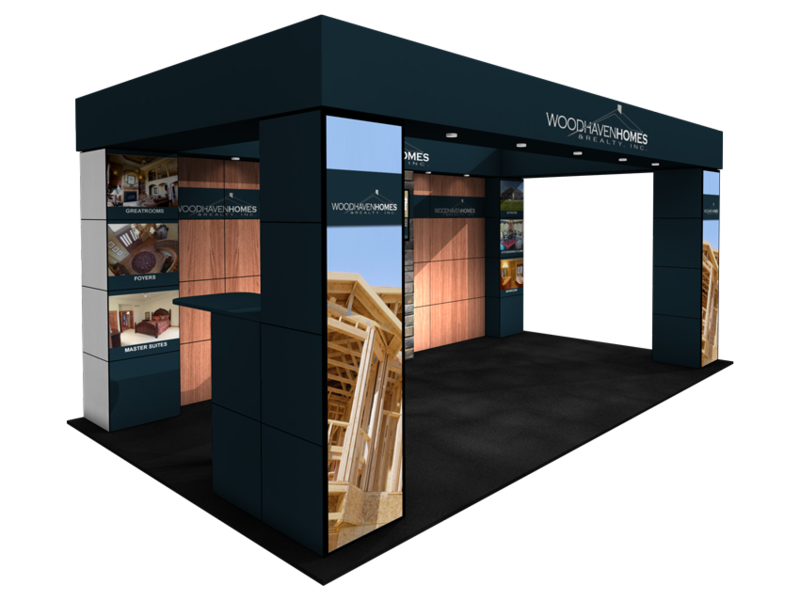 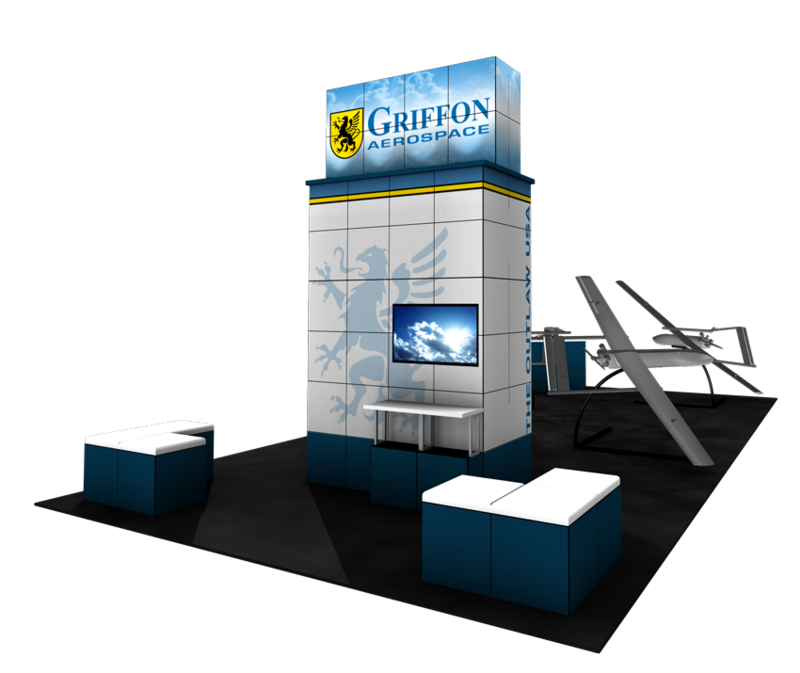 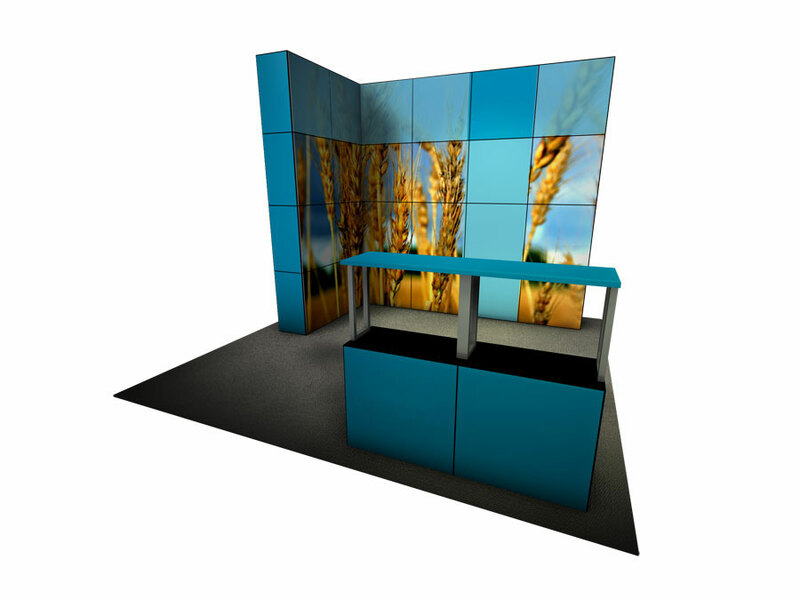 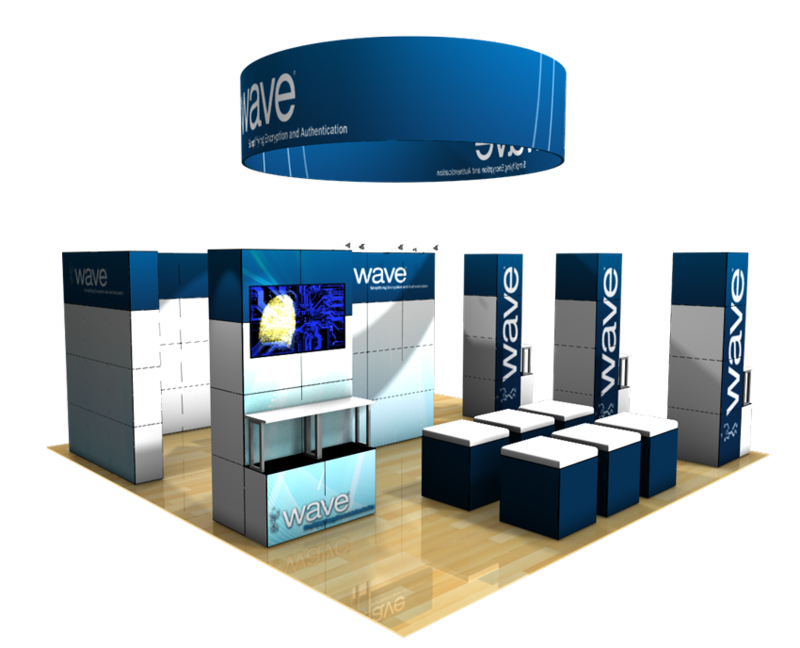 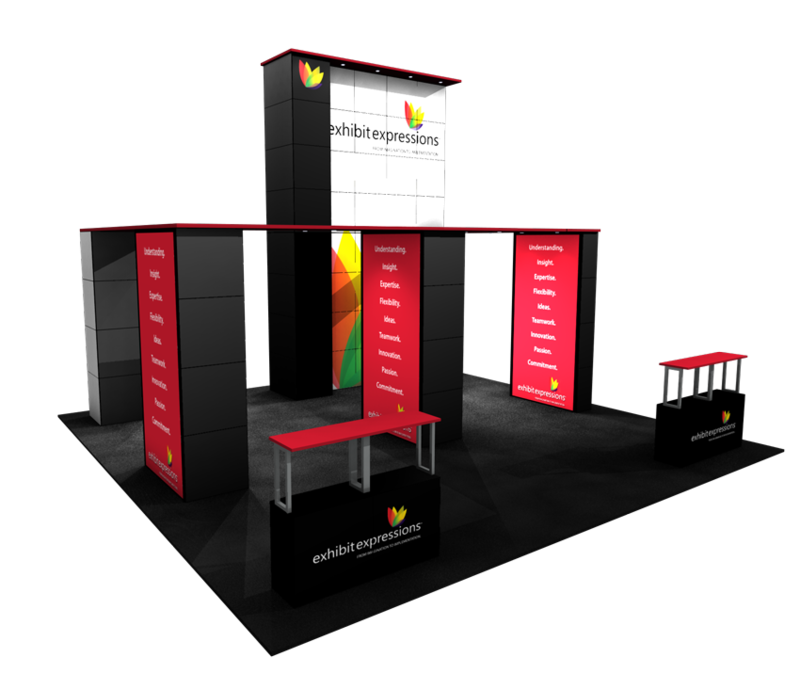 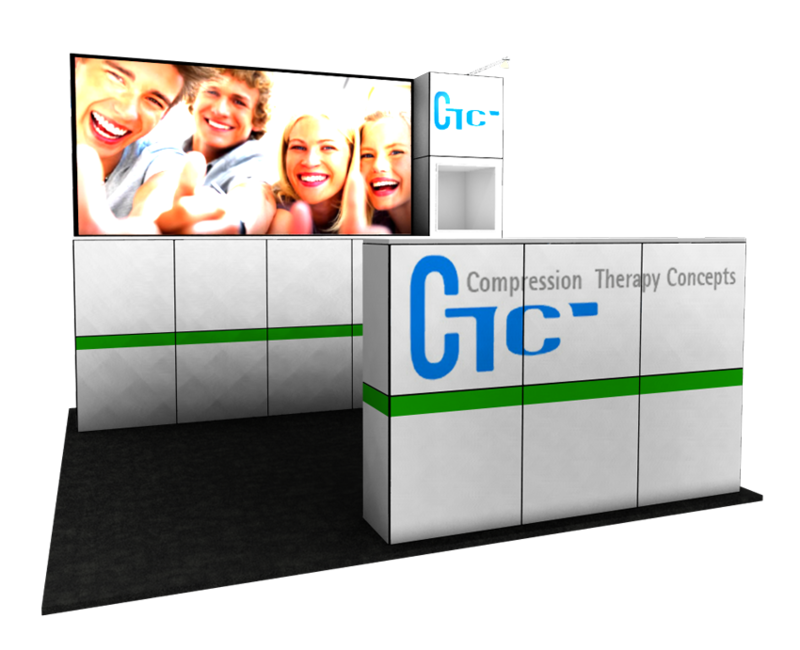 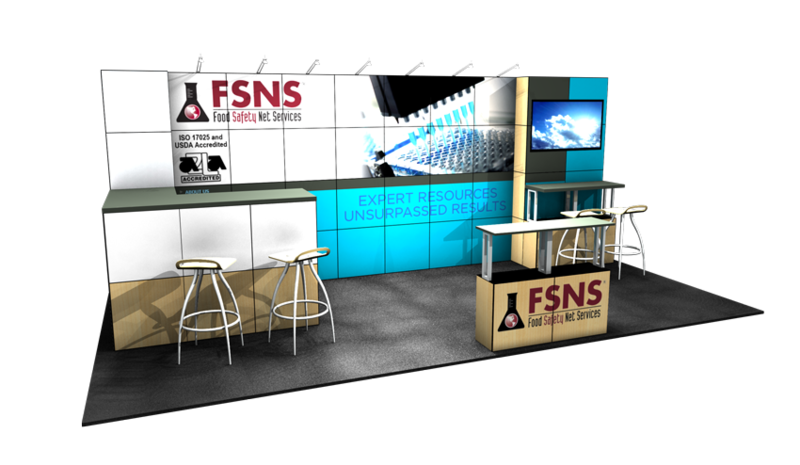 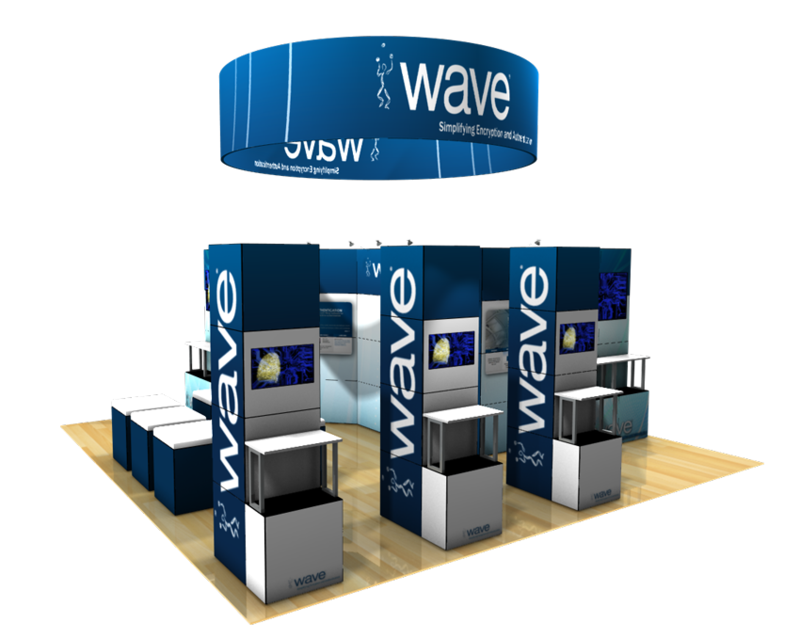 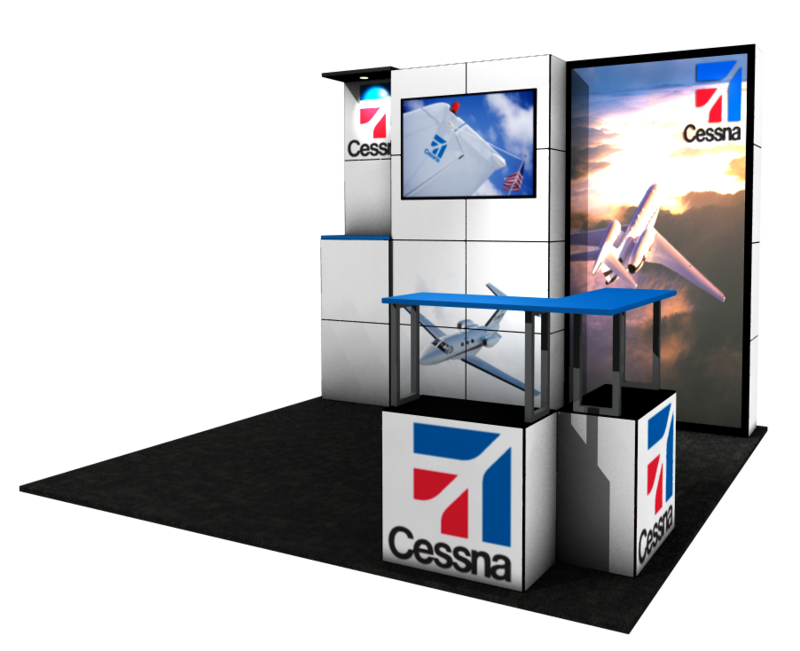 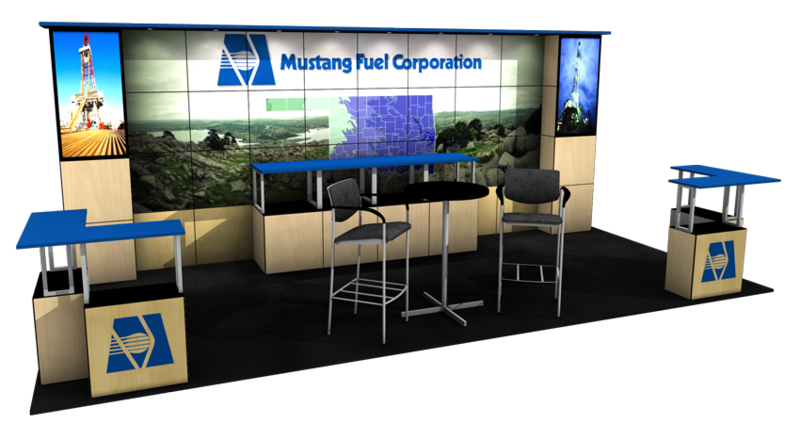 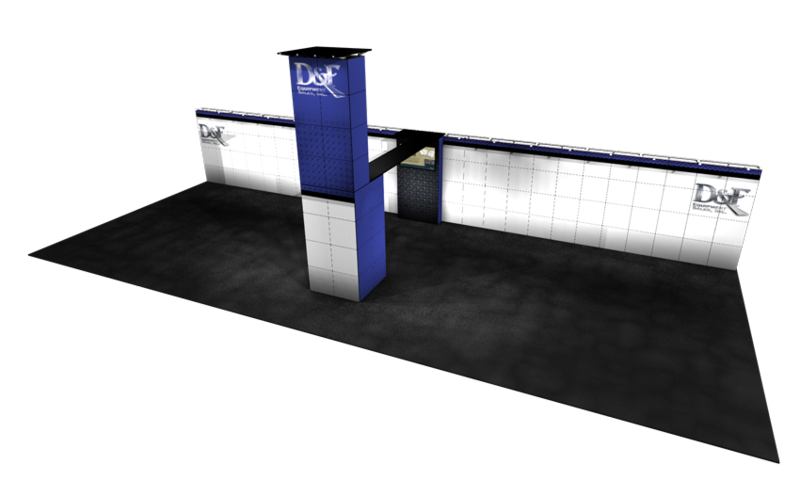 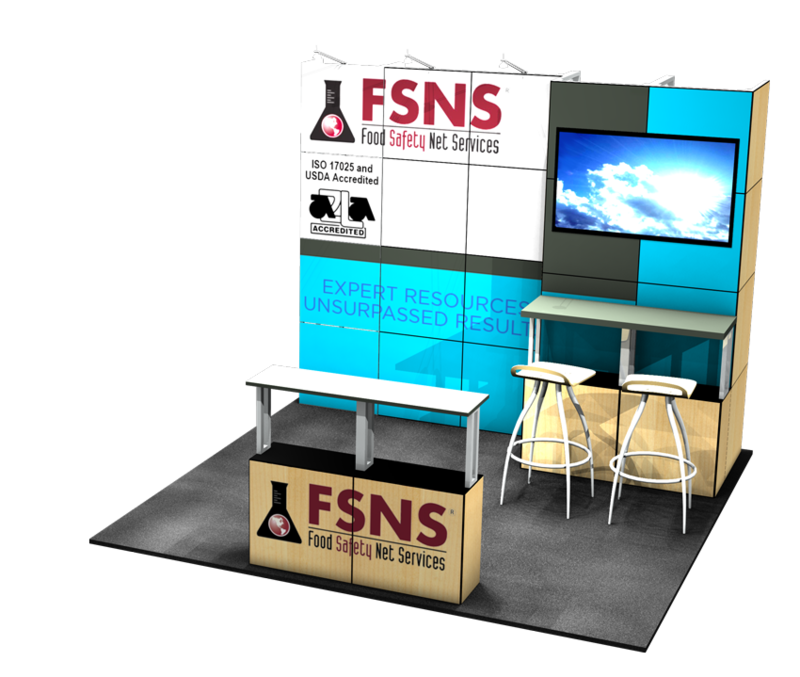 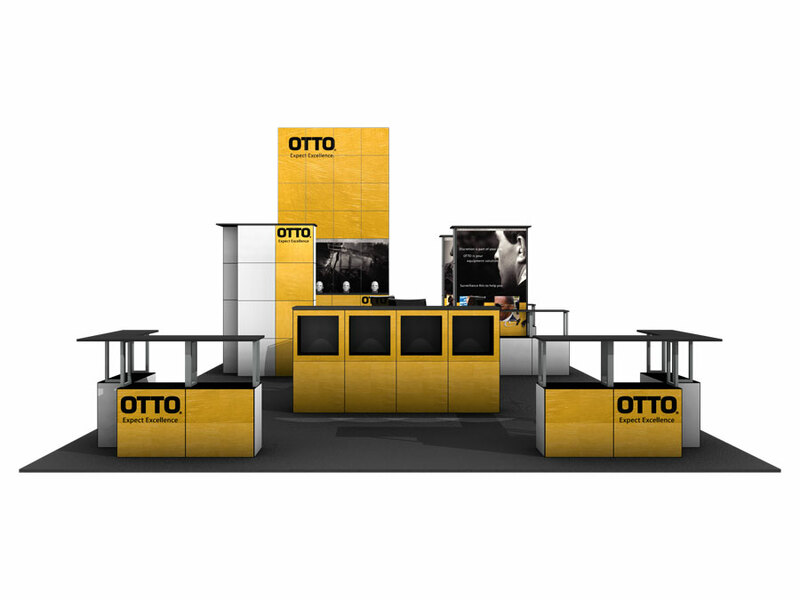 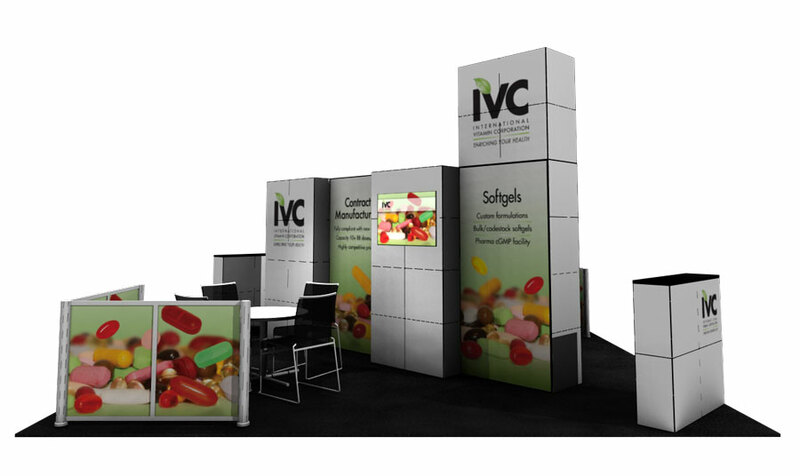 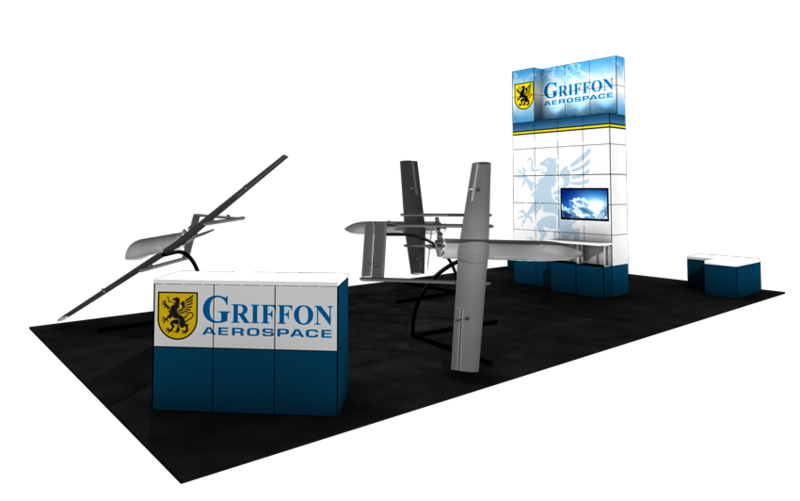 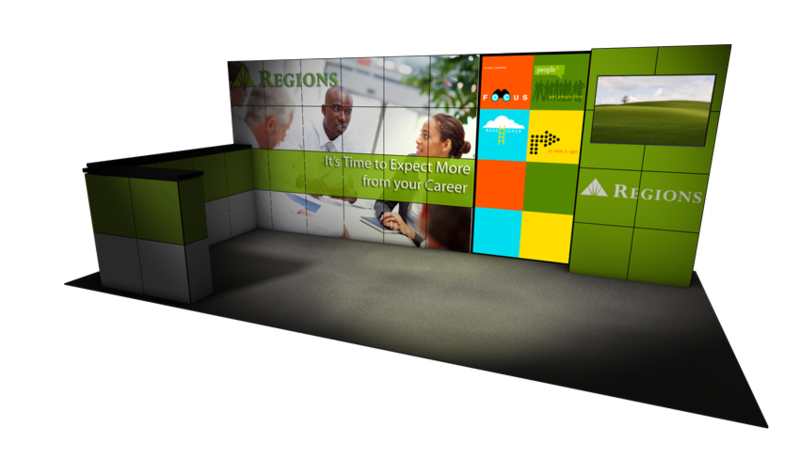 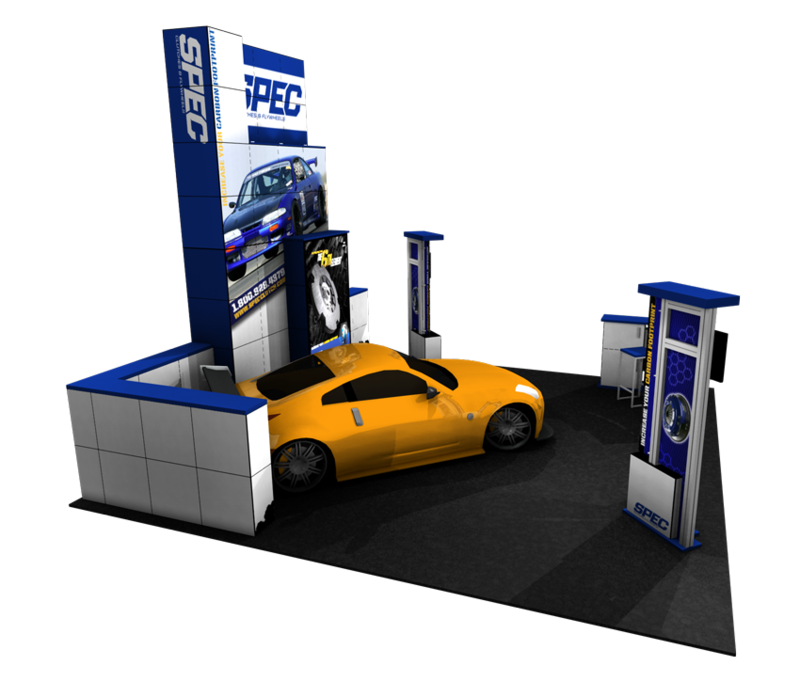 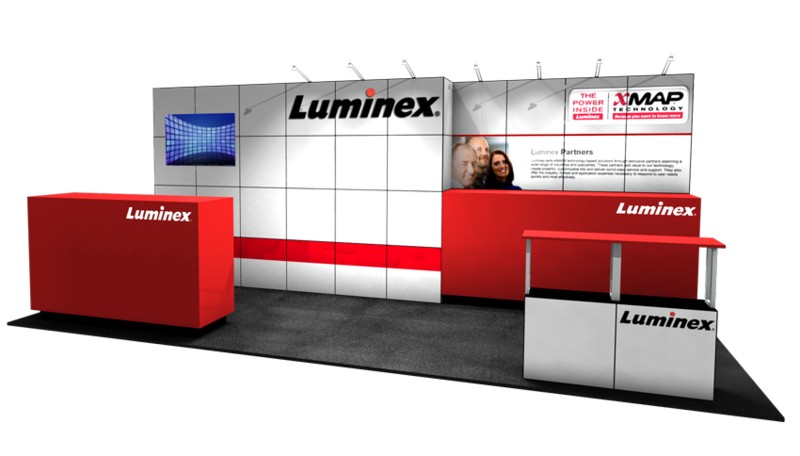 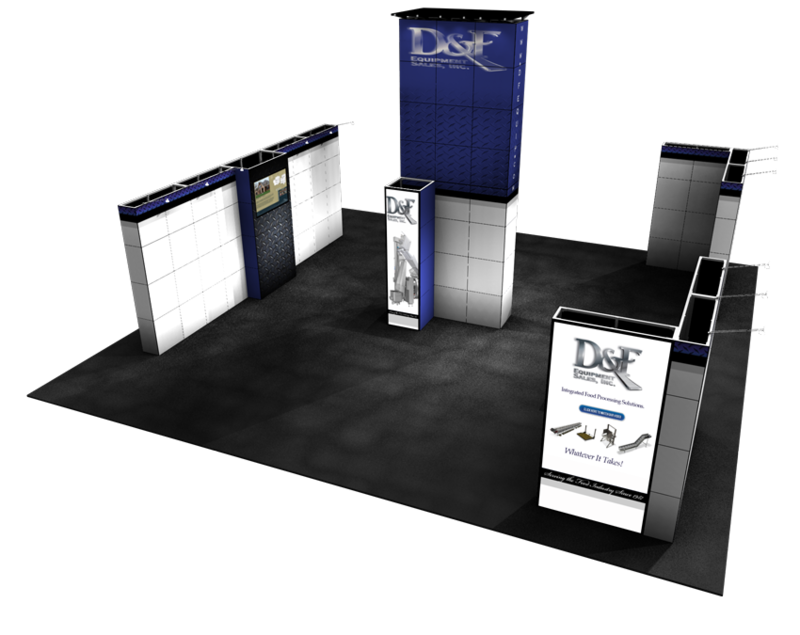 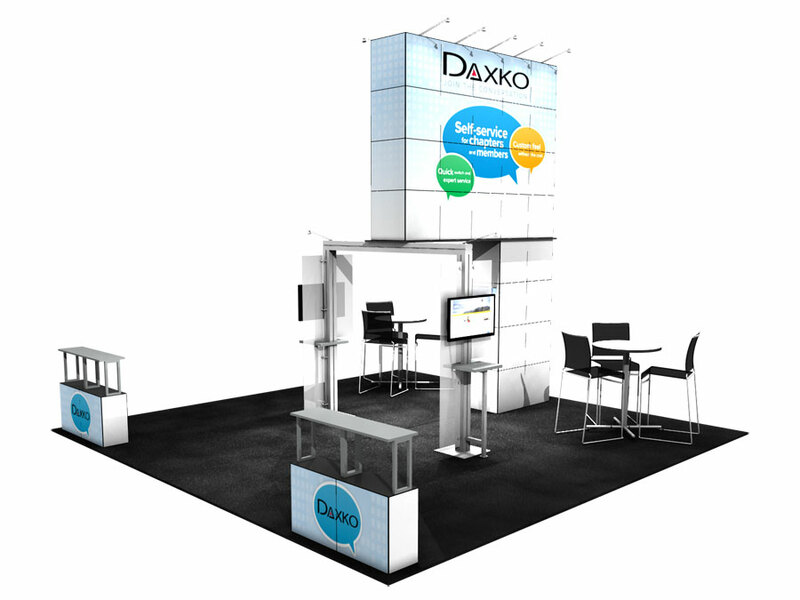 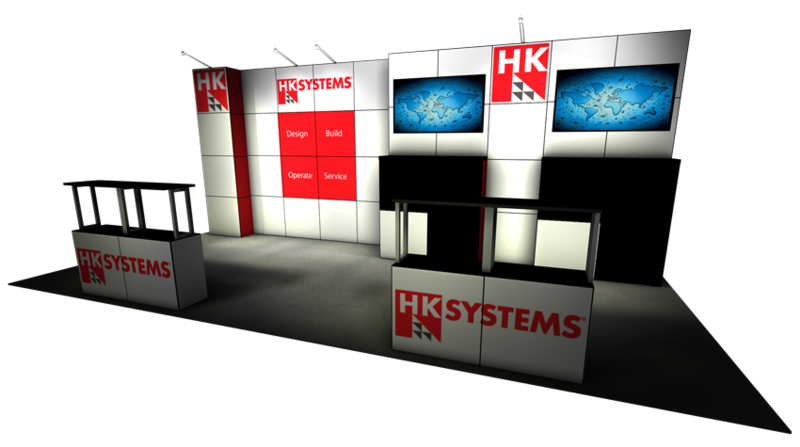 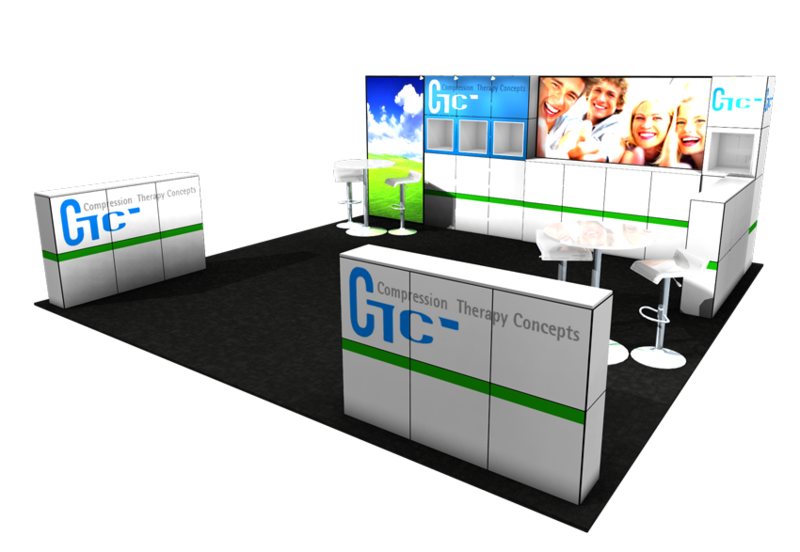 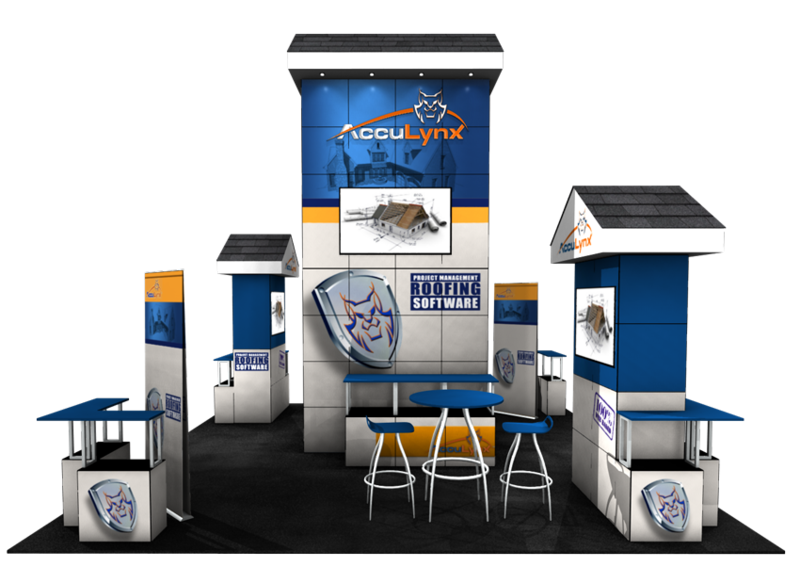 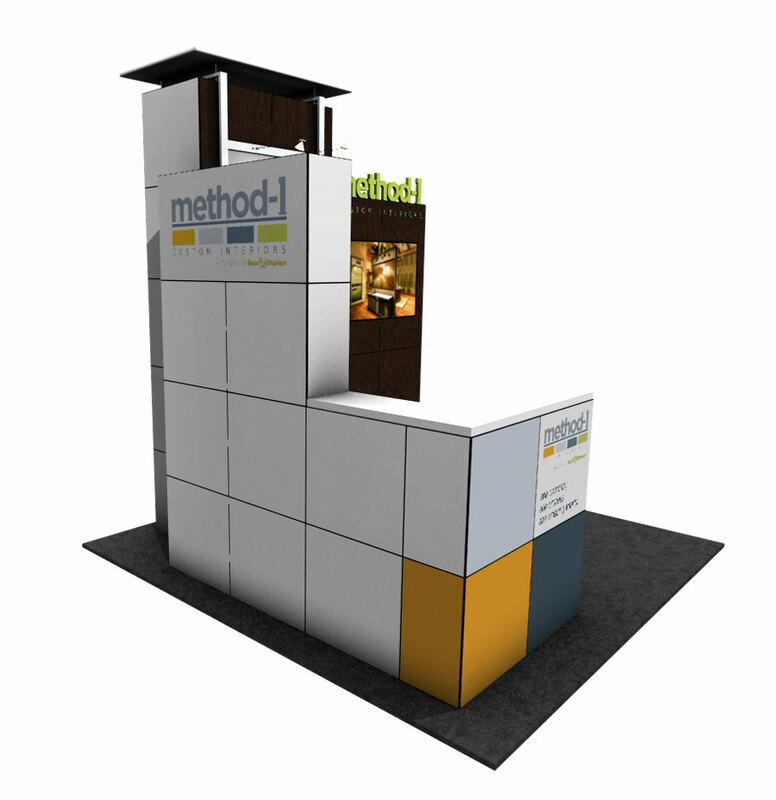 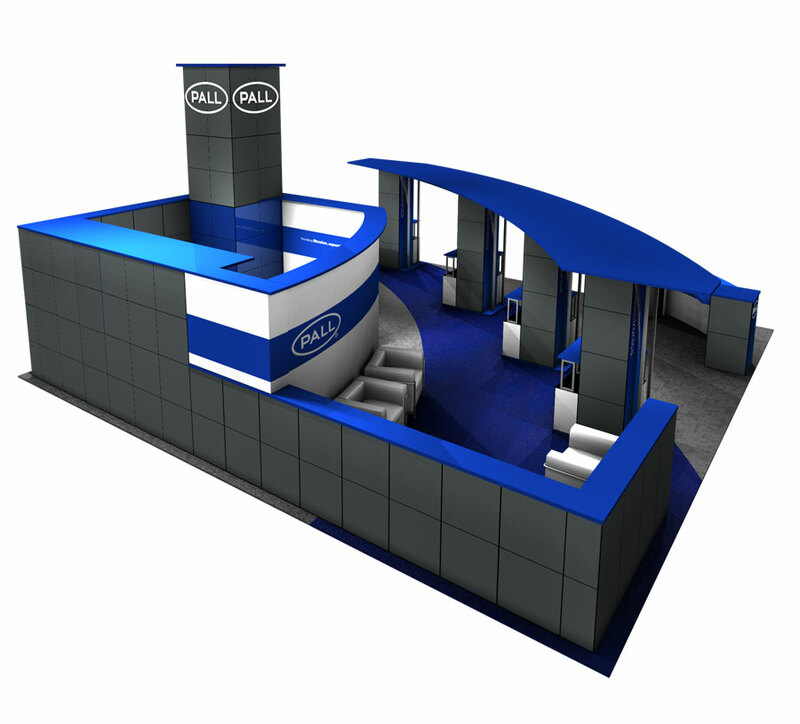 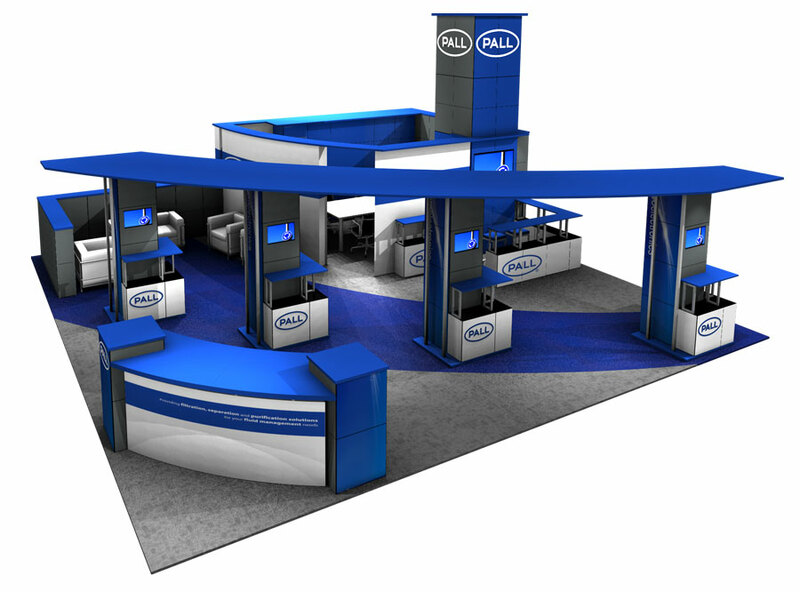 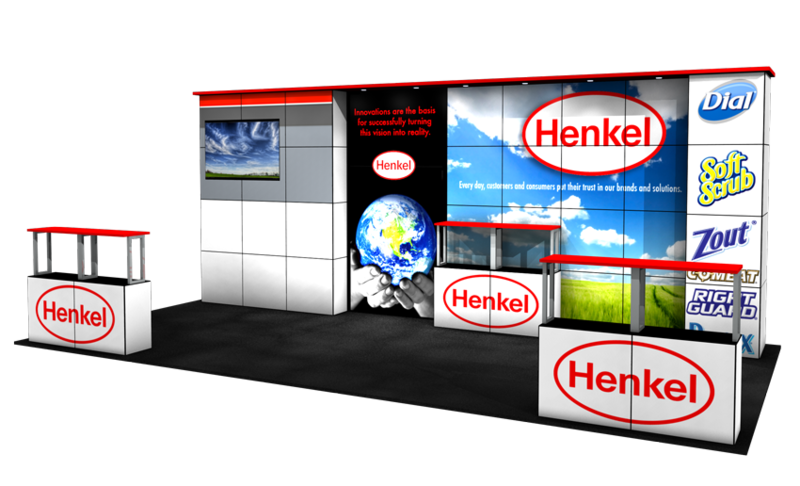 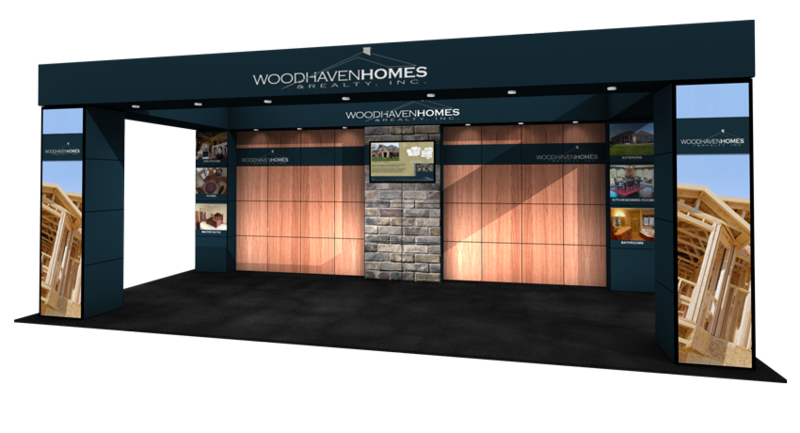 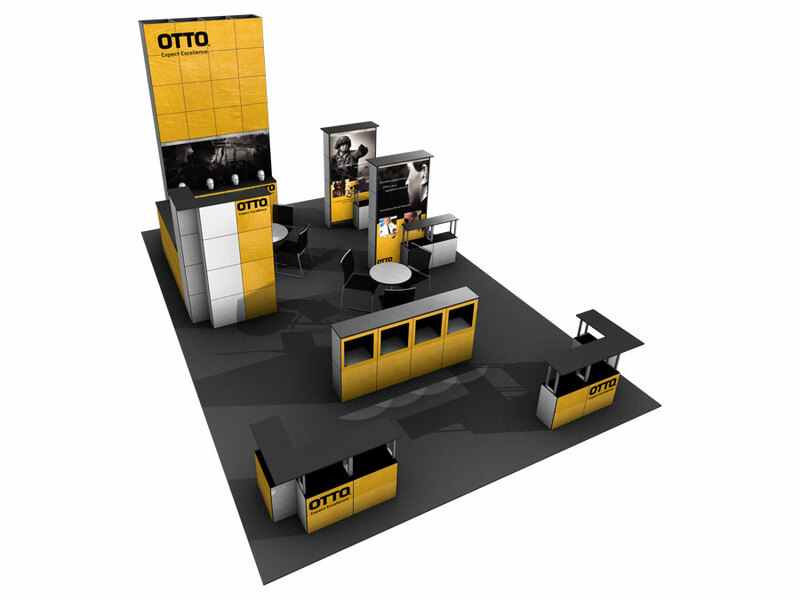 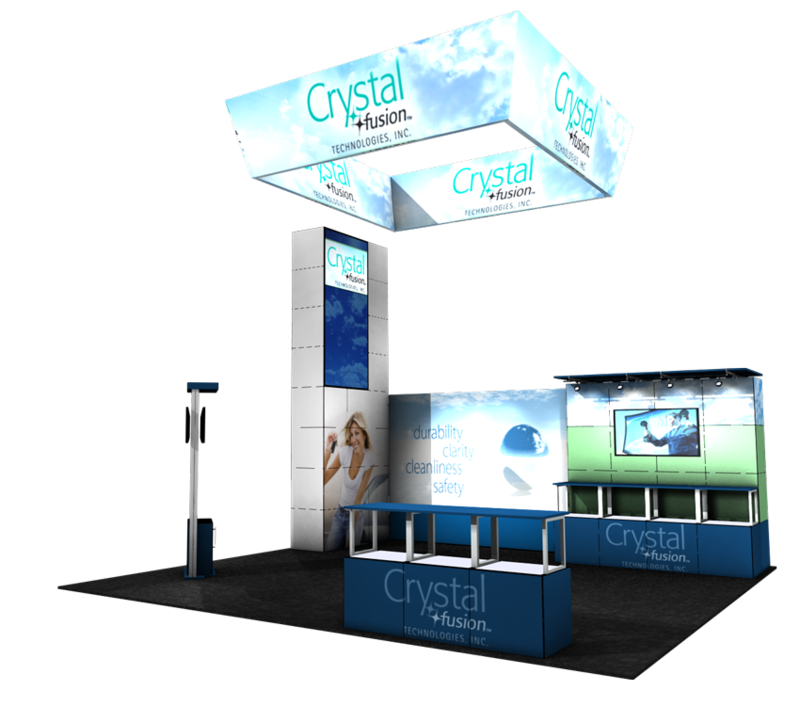 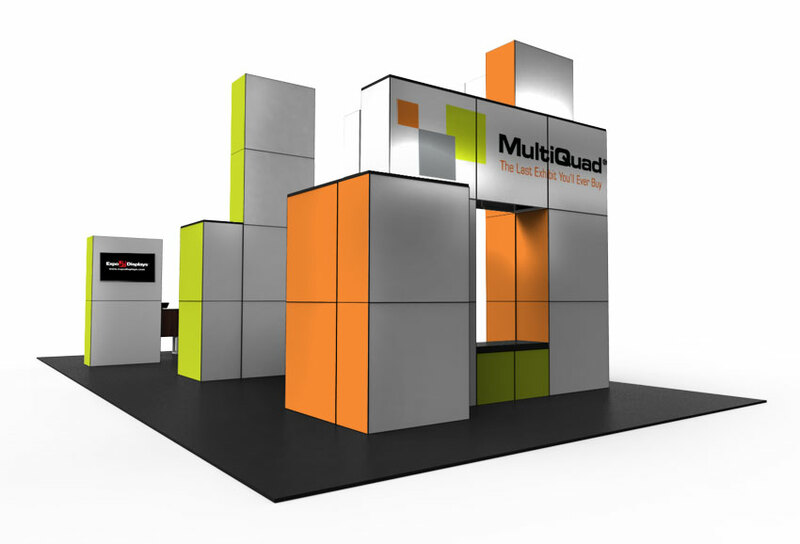 While we are showing samples of MultiQuad exhibits in specific booth spaces, these designs can be easily reconfigured to fit any size booth space. 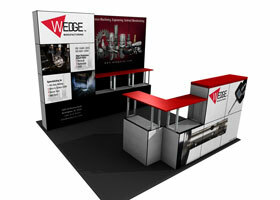 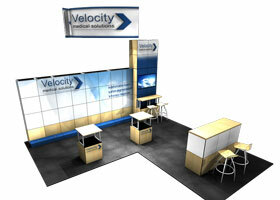 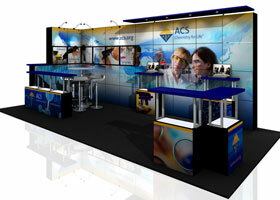 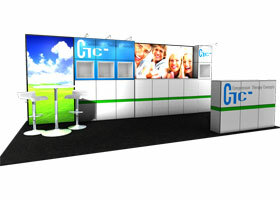 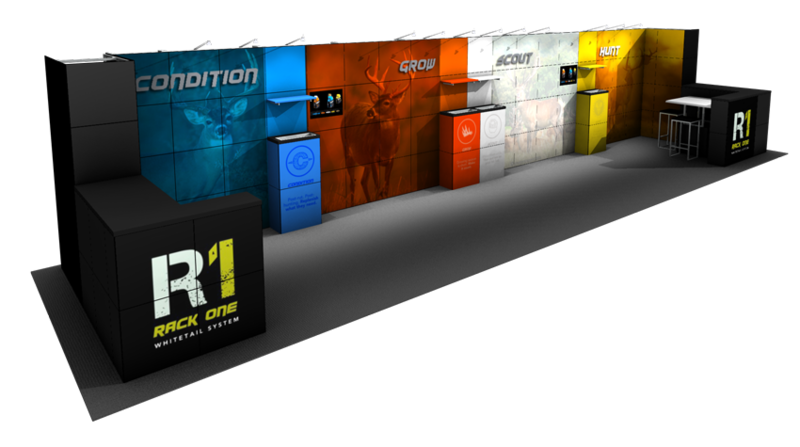 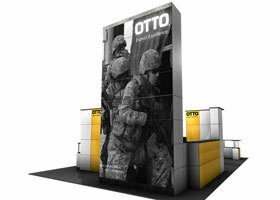 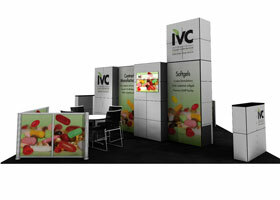 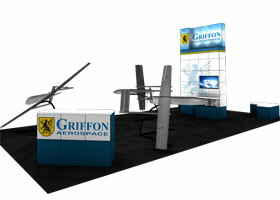 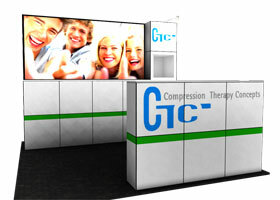 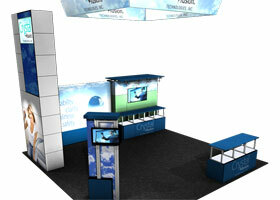 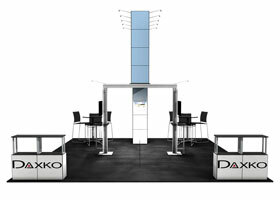 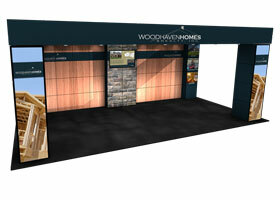 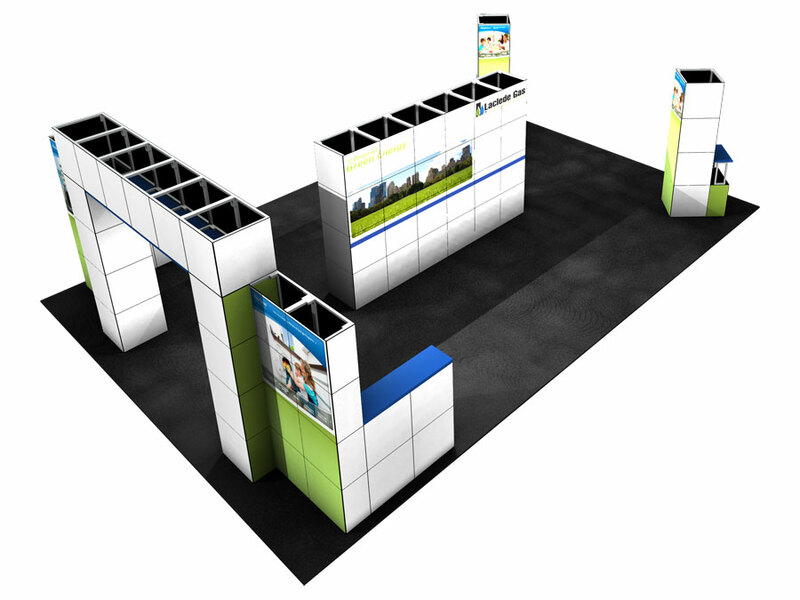 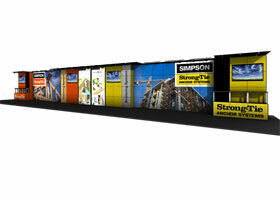 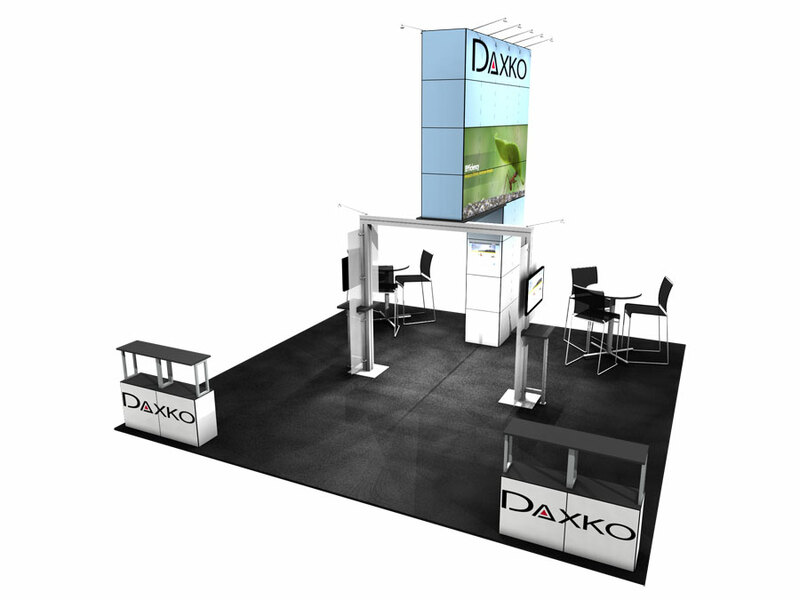 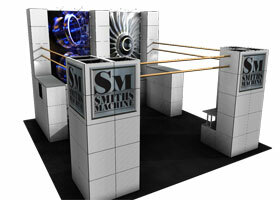 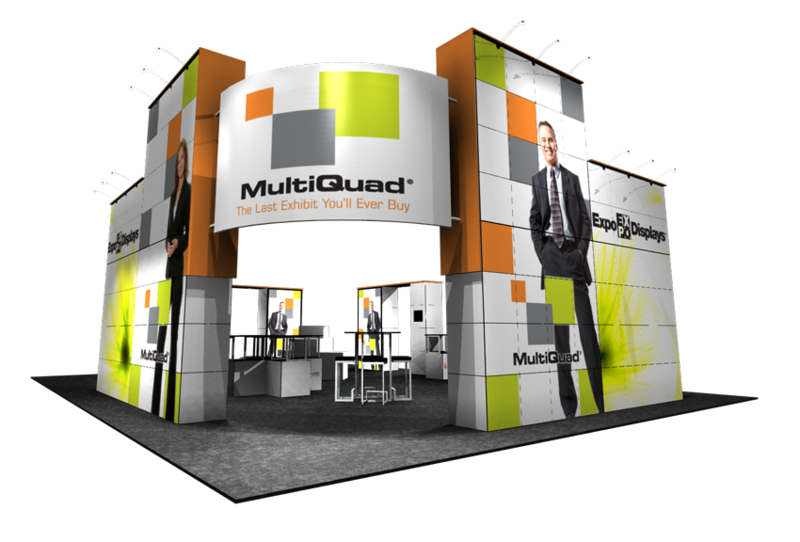 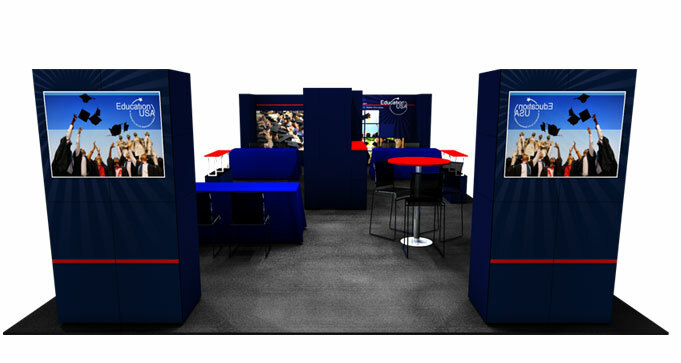 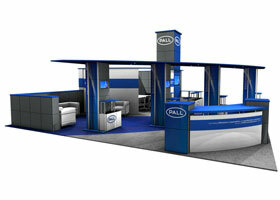 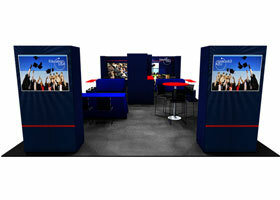 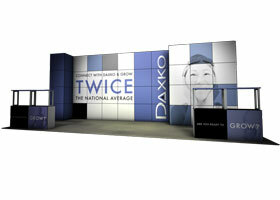 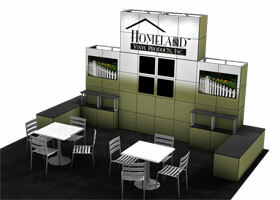 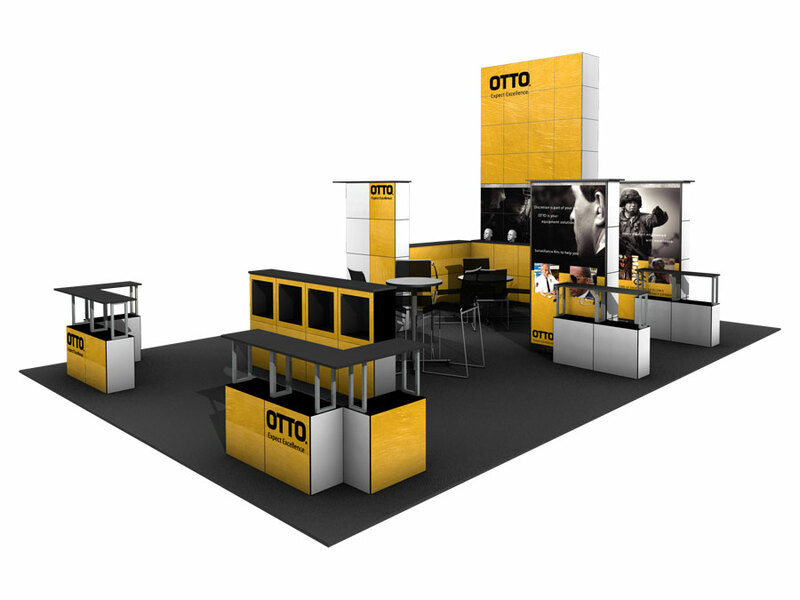 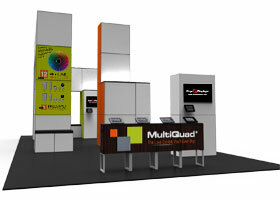 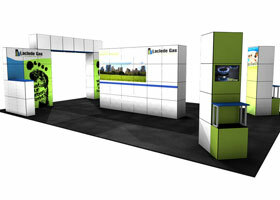 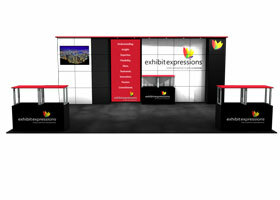 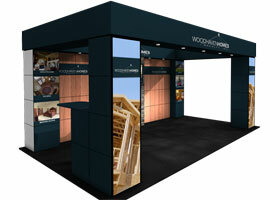 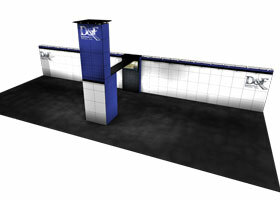 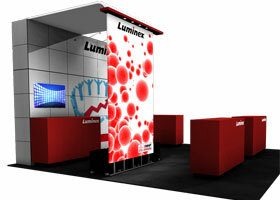 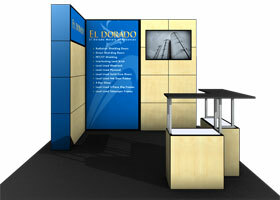 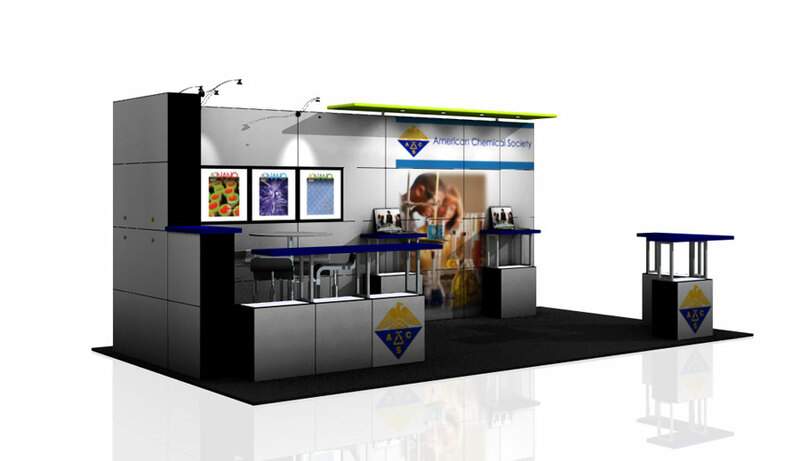 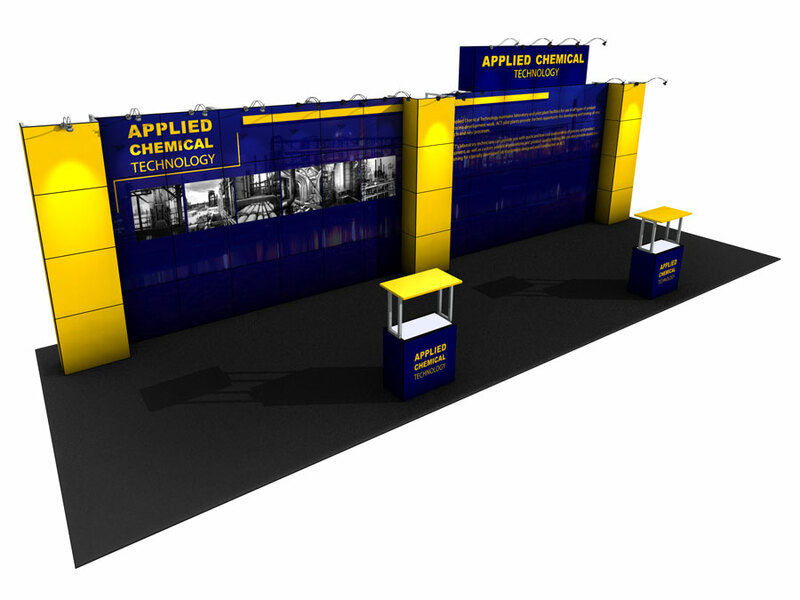 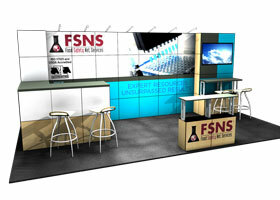 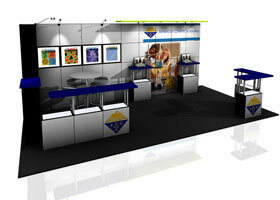 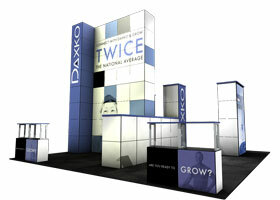 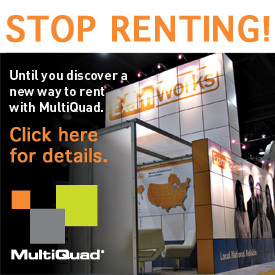 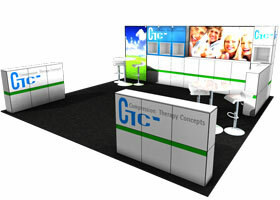 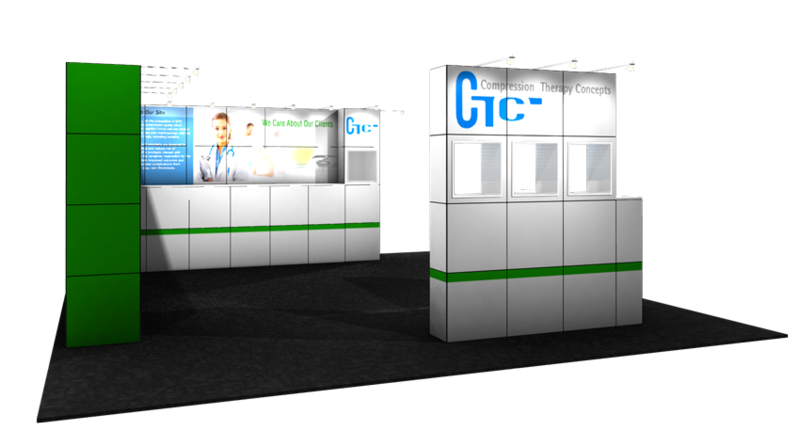 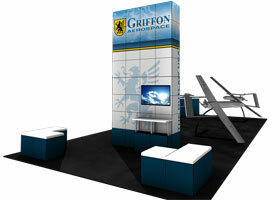 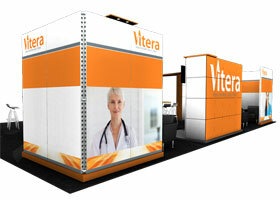 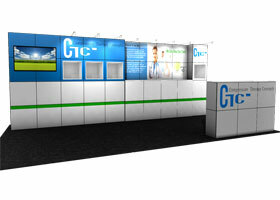 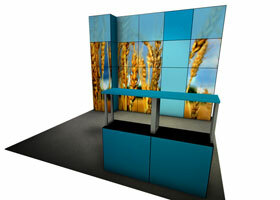 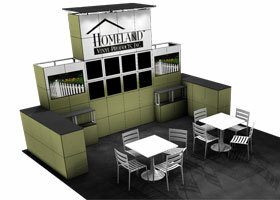 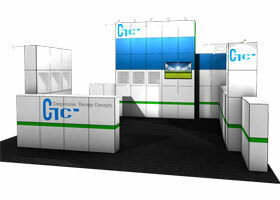 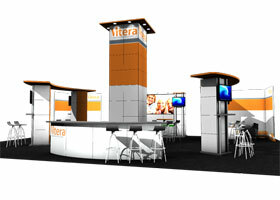 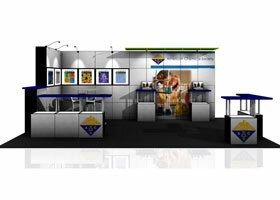 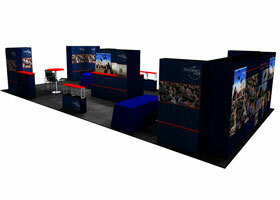 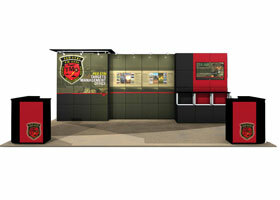 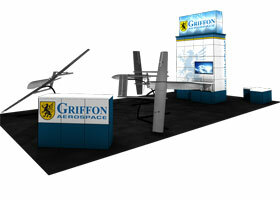 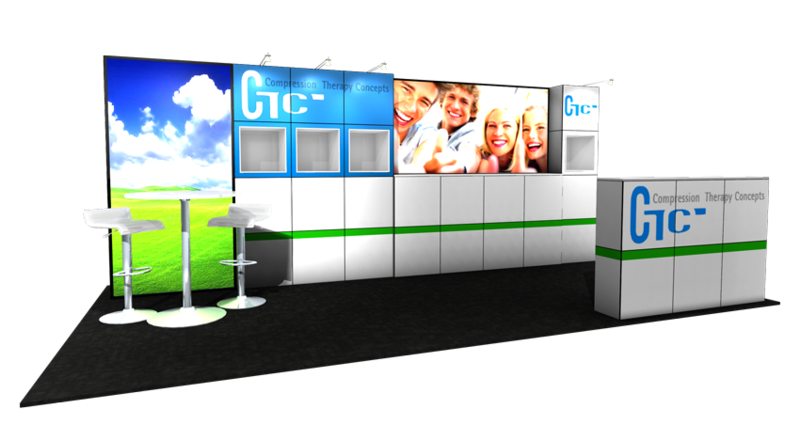 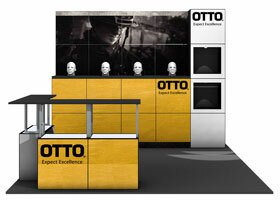 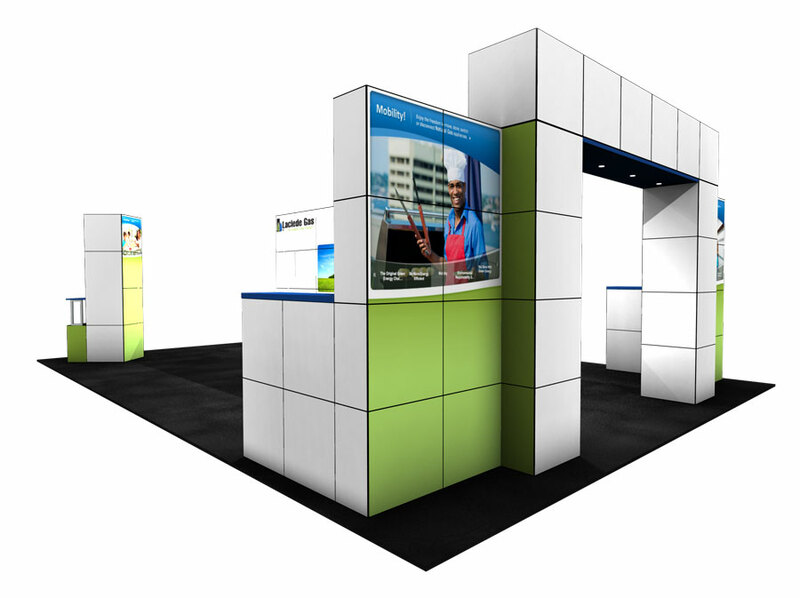 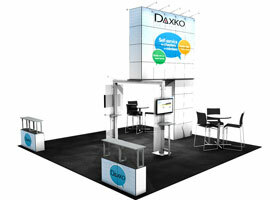 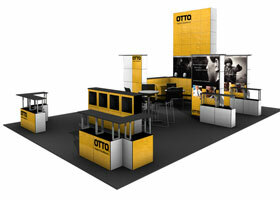 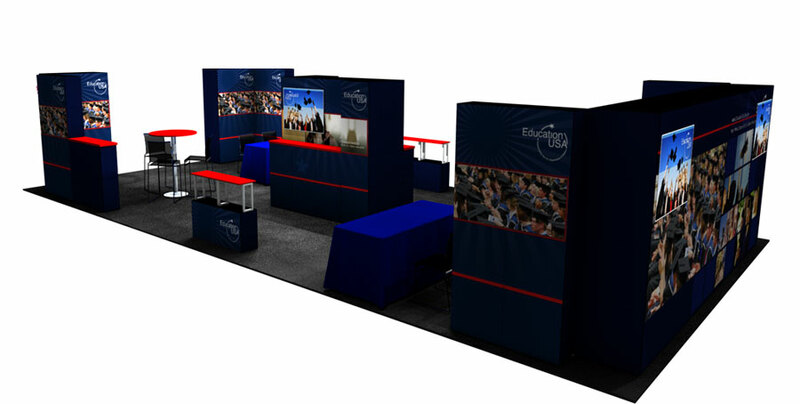 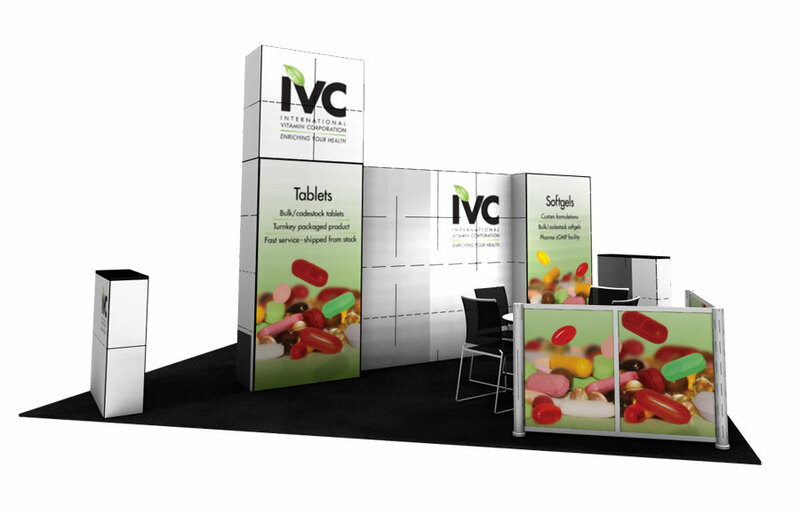 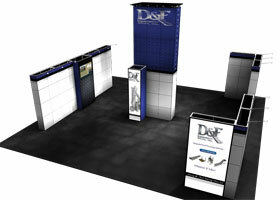 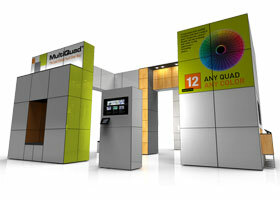 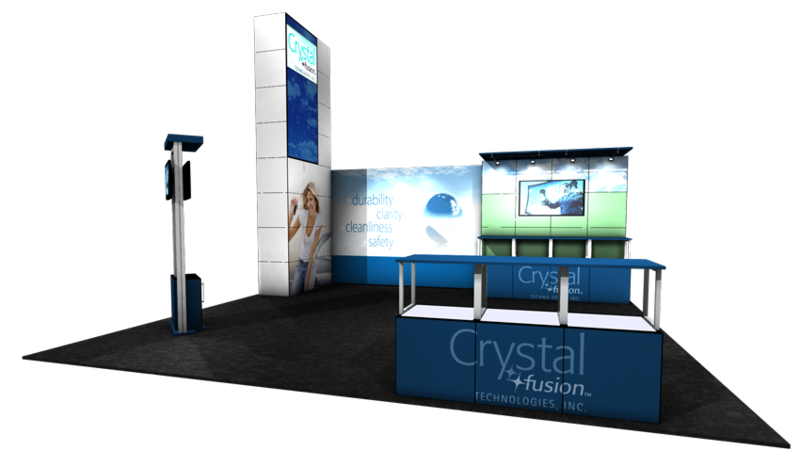 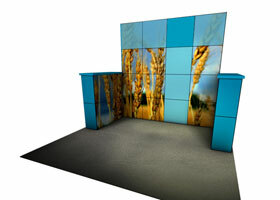 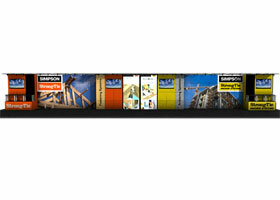 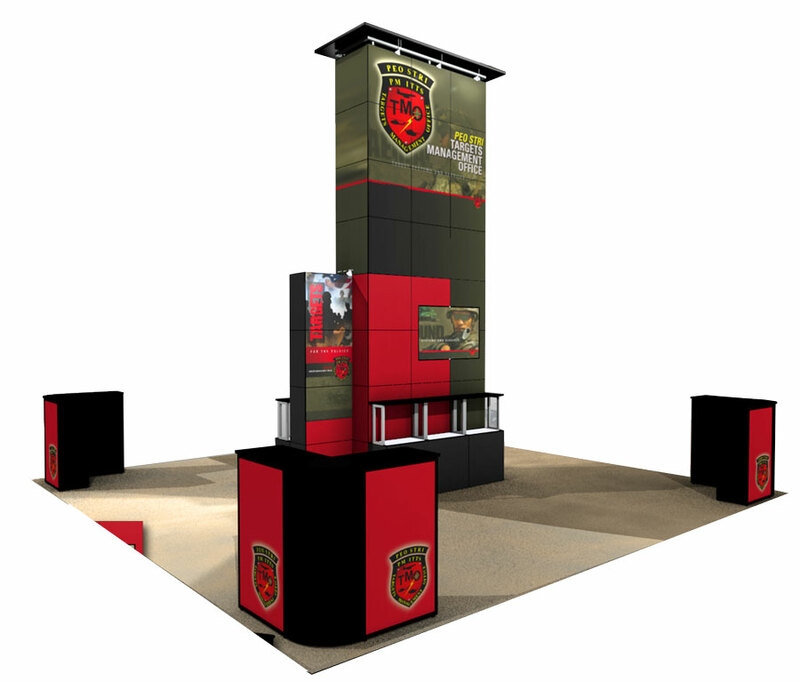 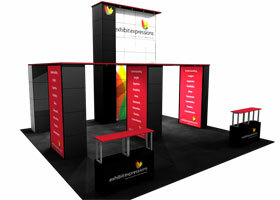 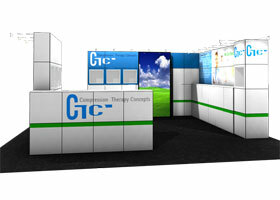 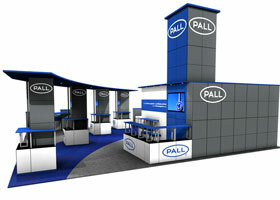 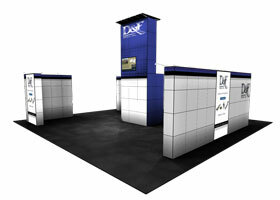 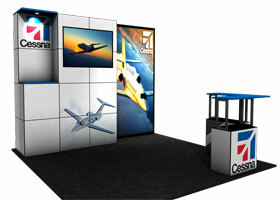 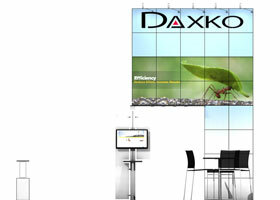 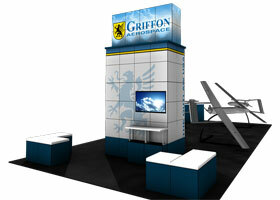 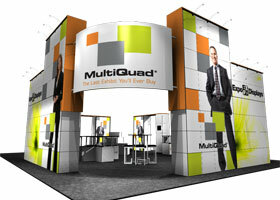 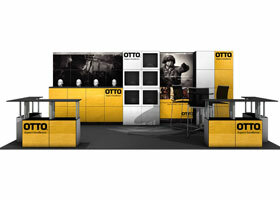 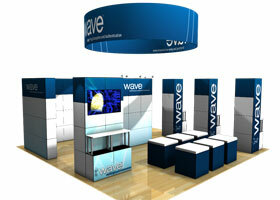 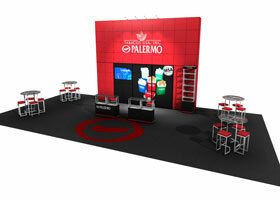 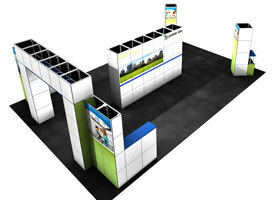 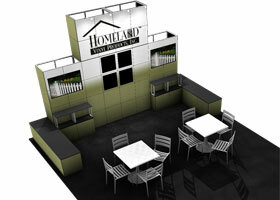 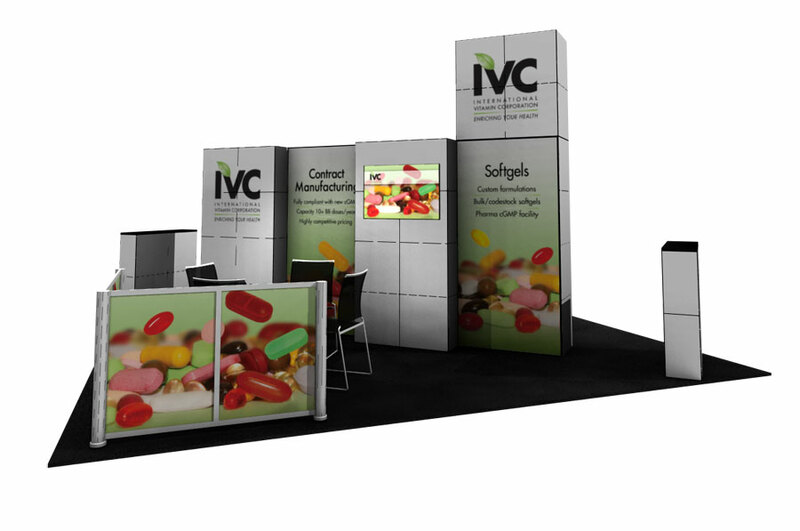 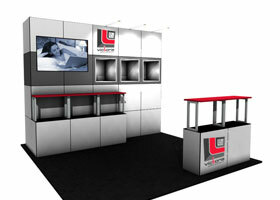 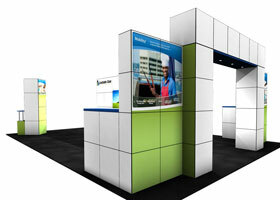 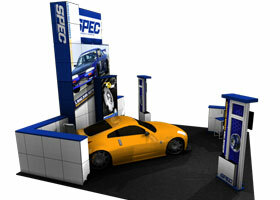 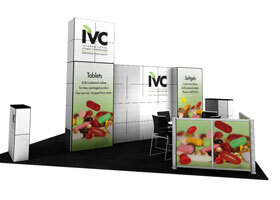 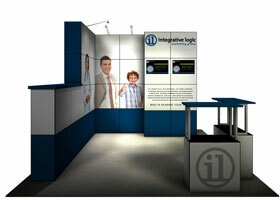 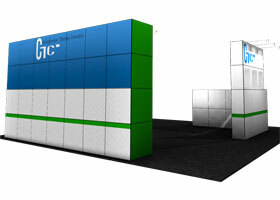 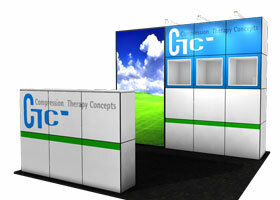 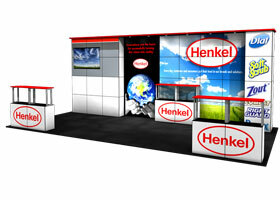 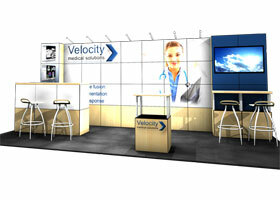 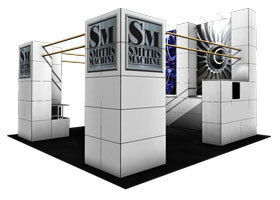 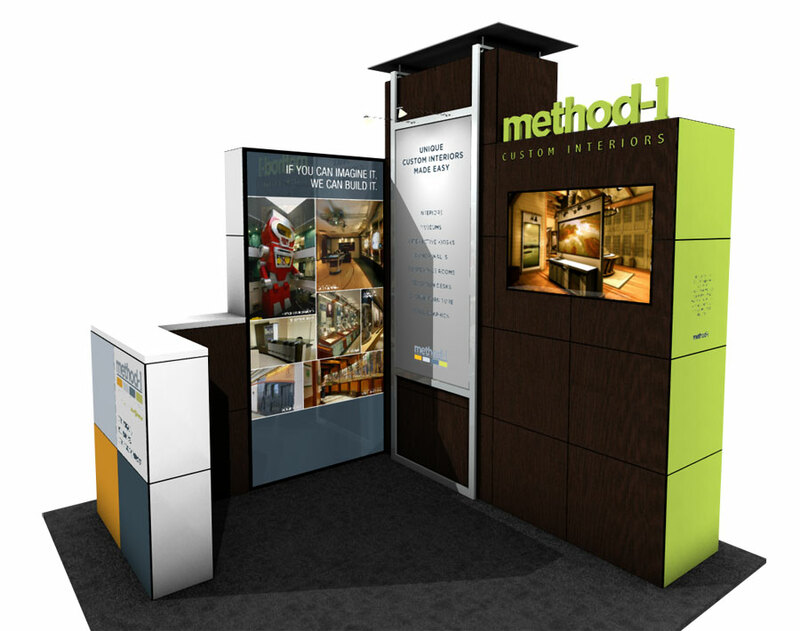 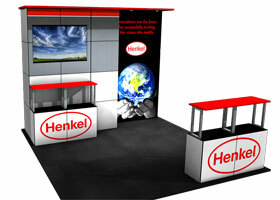 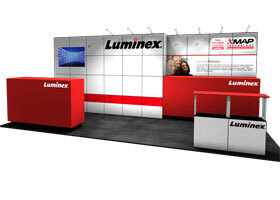 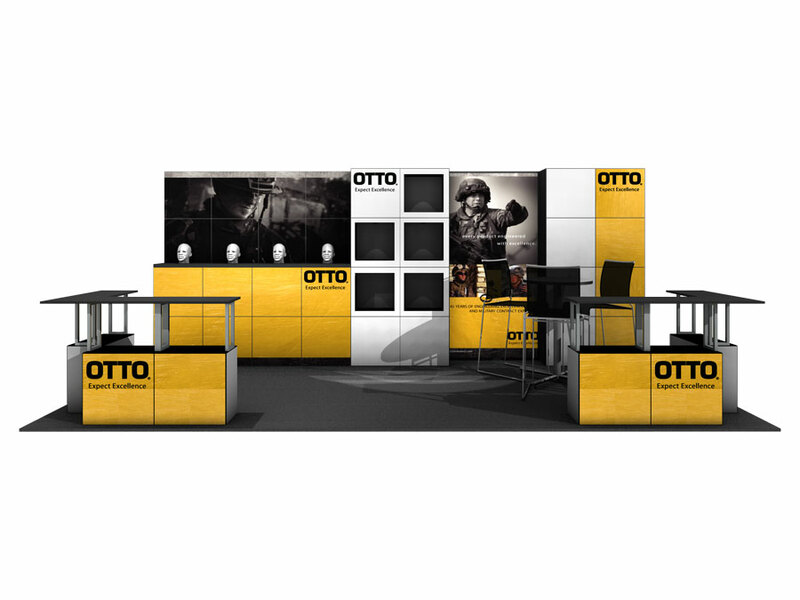 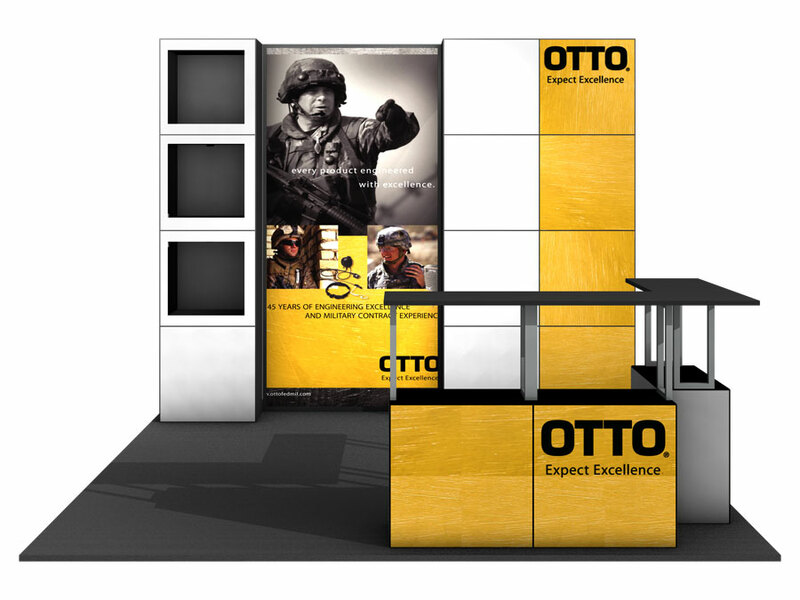 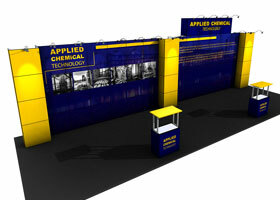 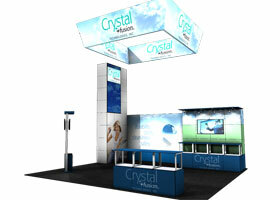 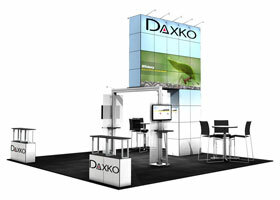 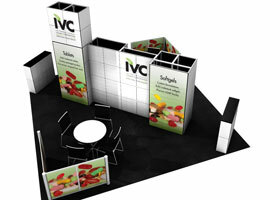 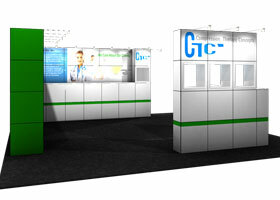 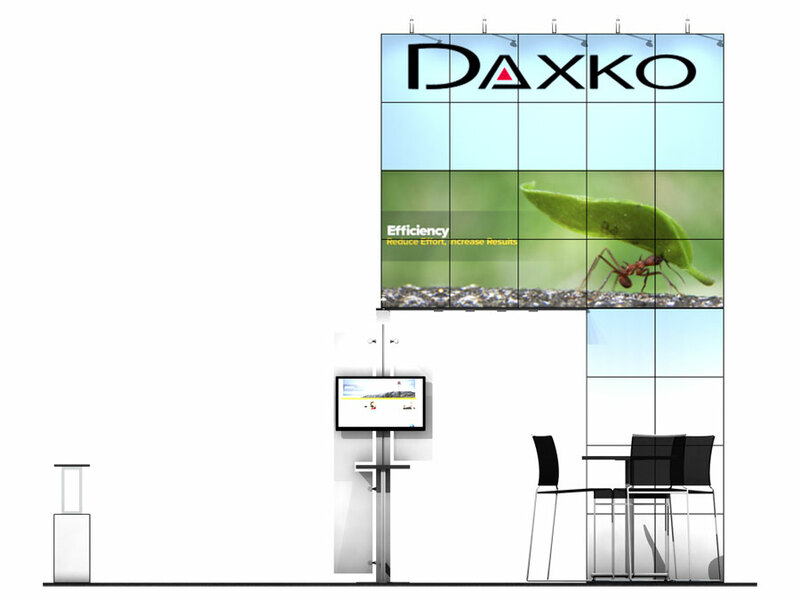 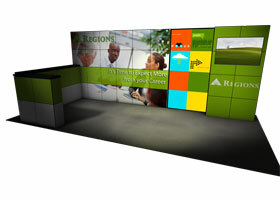 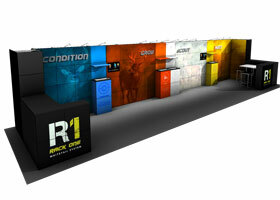 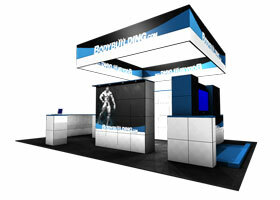 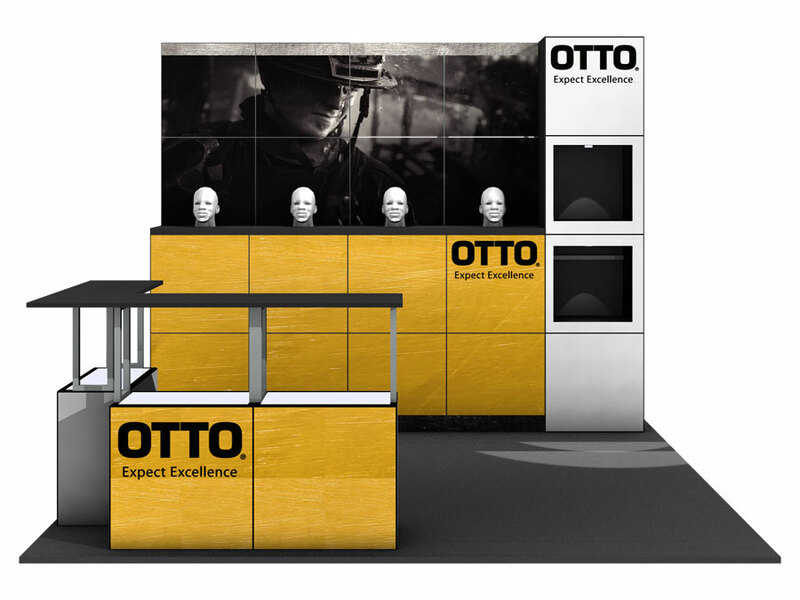 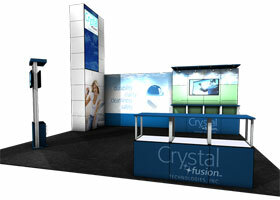 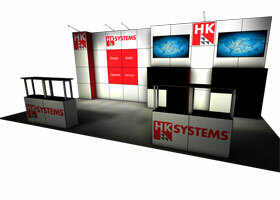 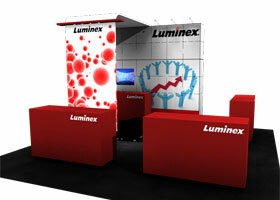 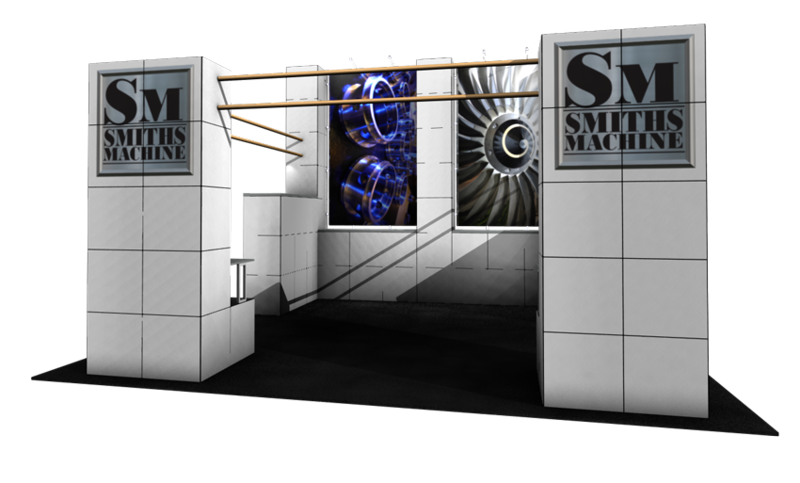 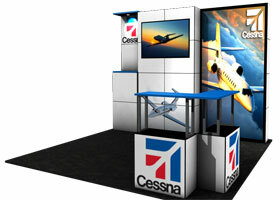 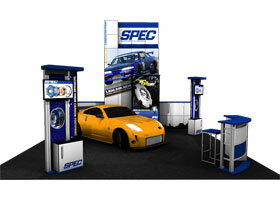 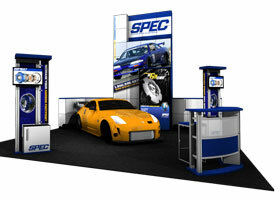 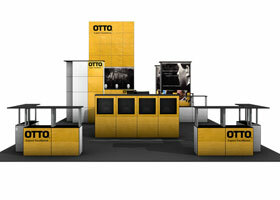 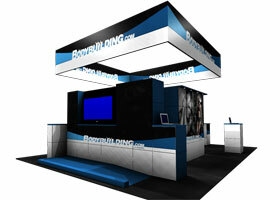 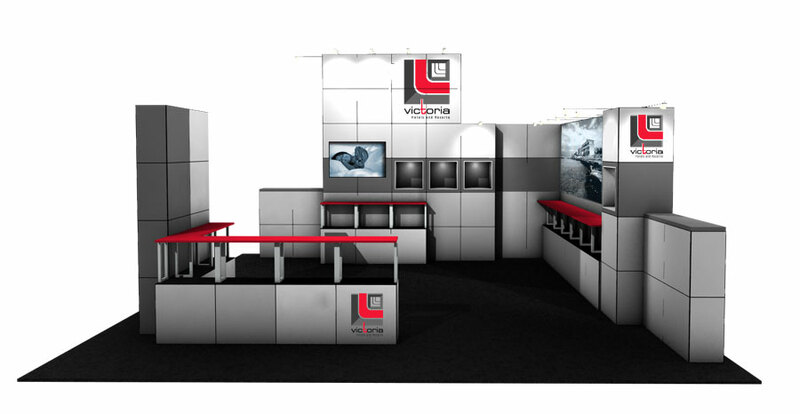 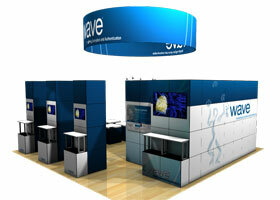 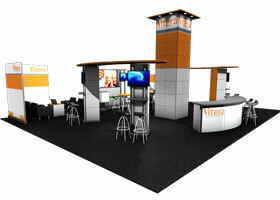 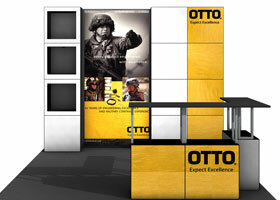 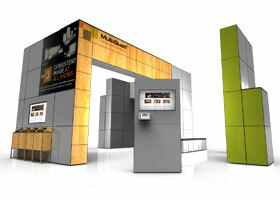 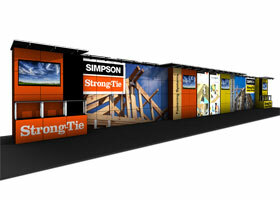 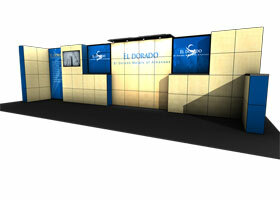 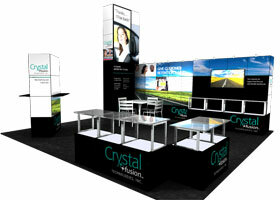 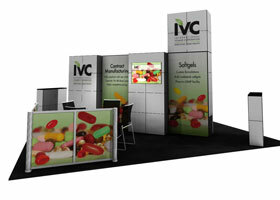 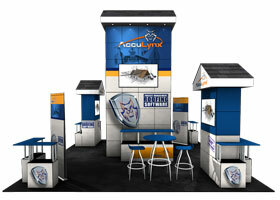 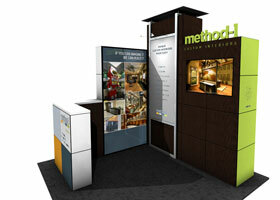 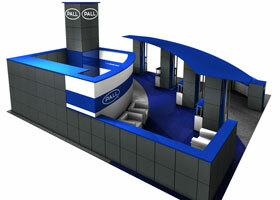 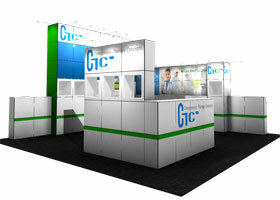 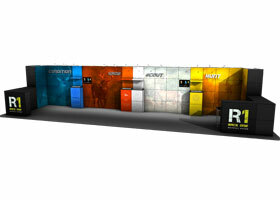 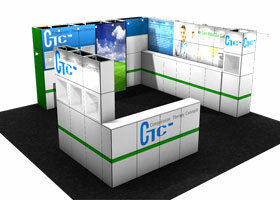 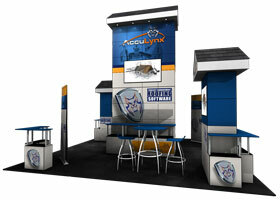 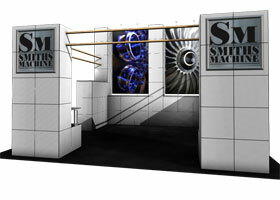 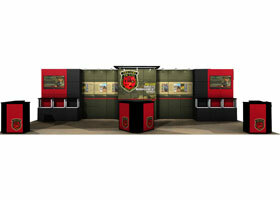 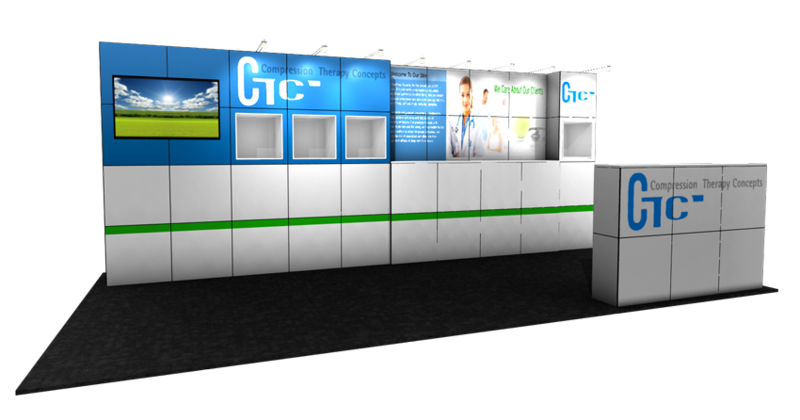 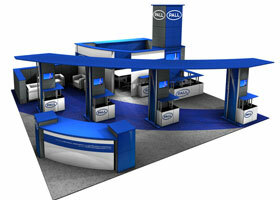 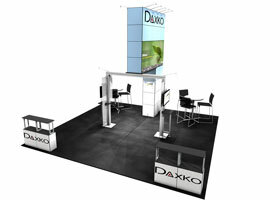 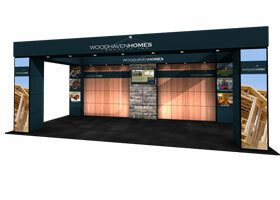 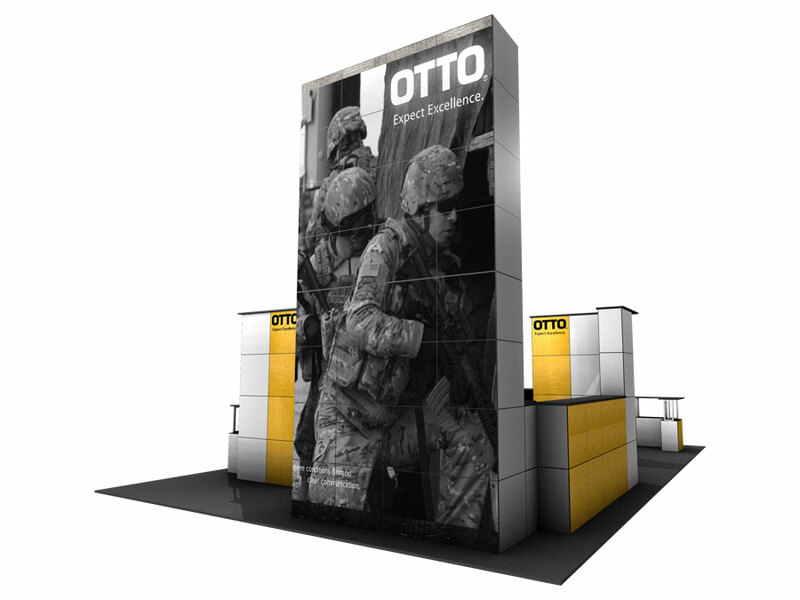 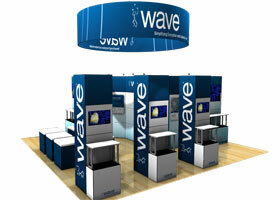 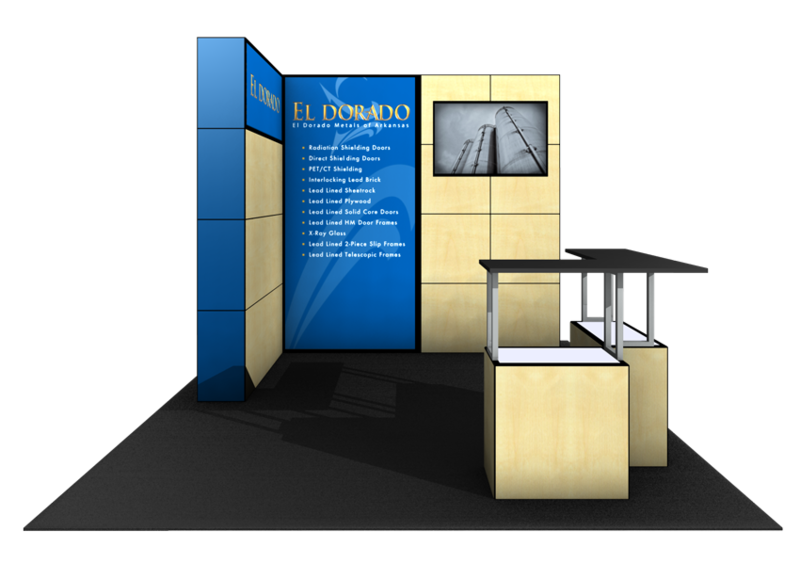 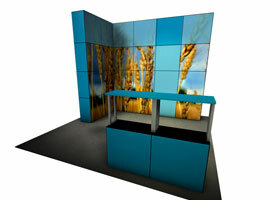 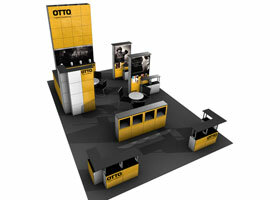 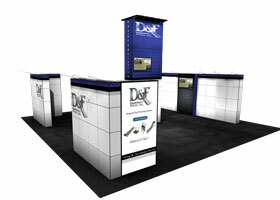 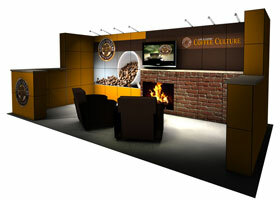 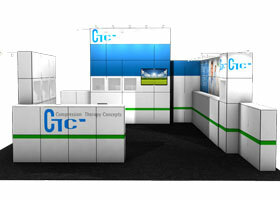 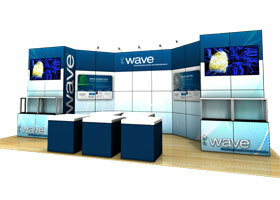 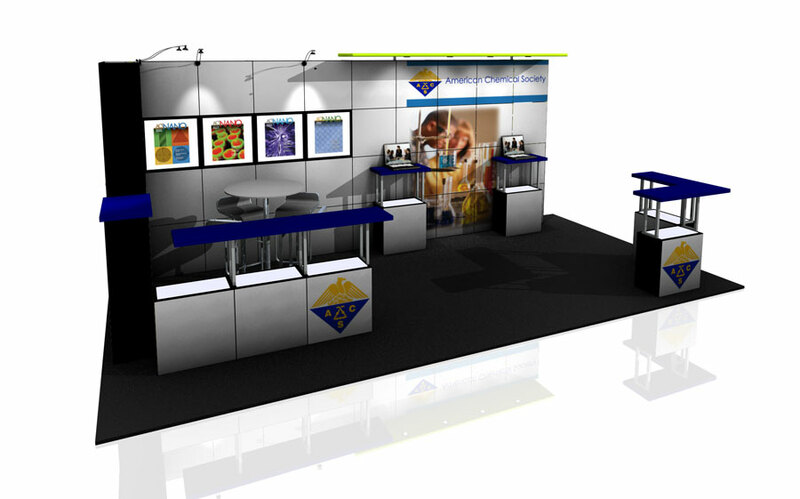 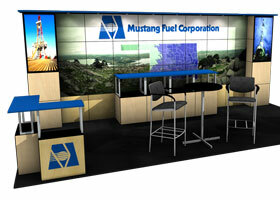 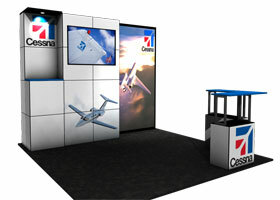 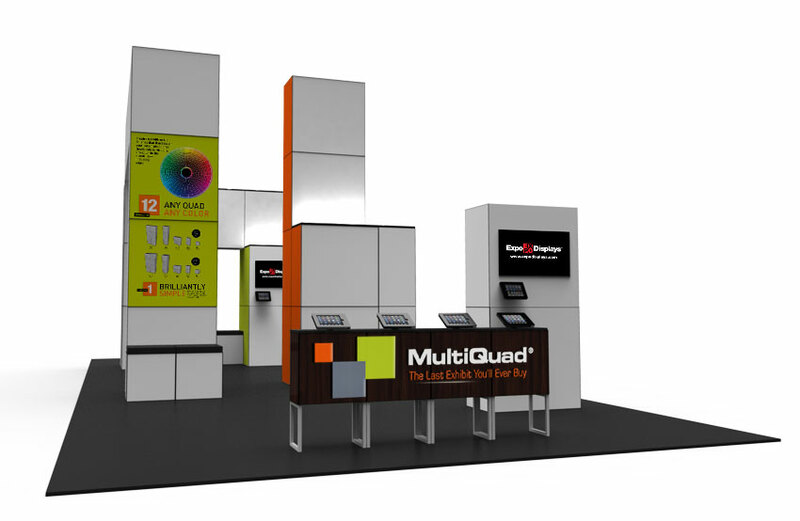 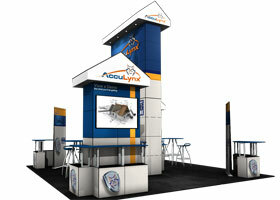 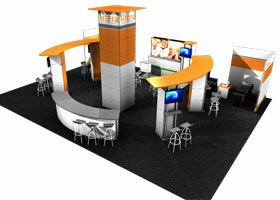 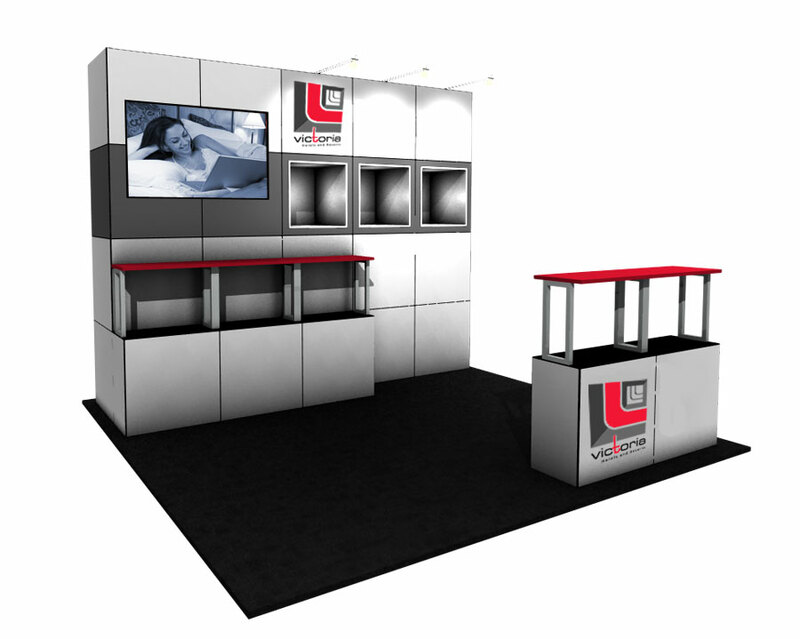 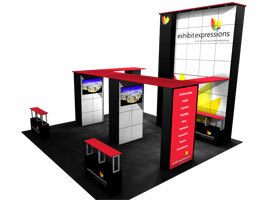 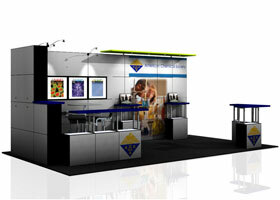 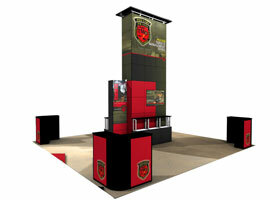 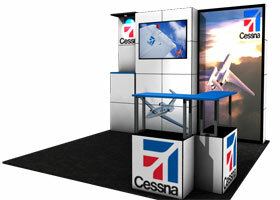 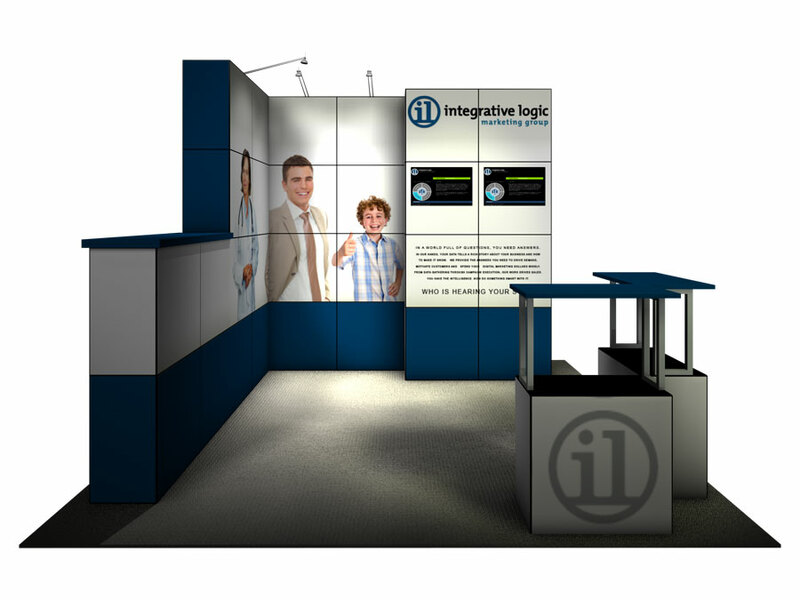 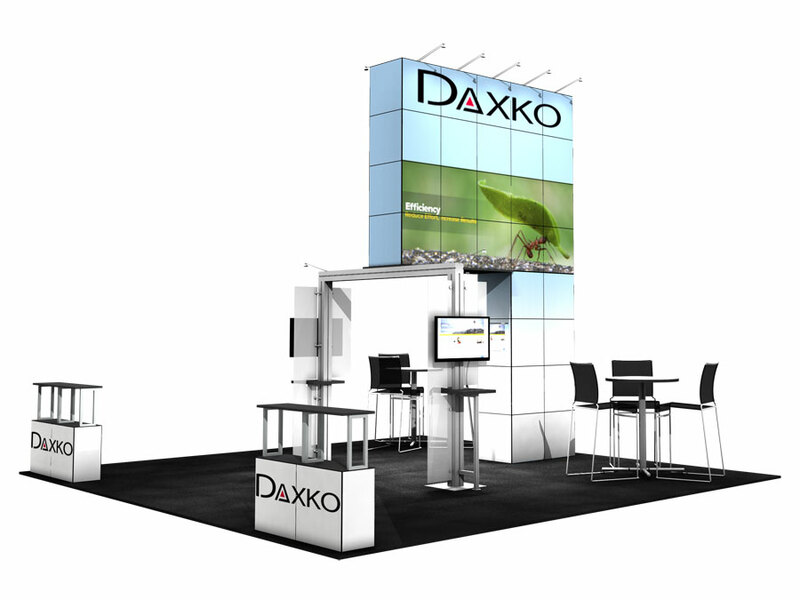 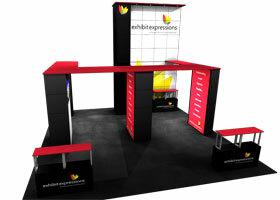 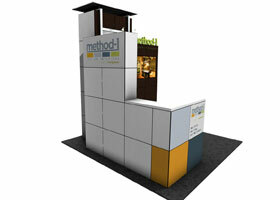 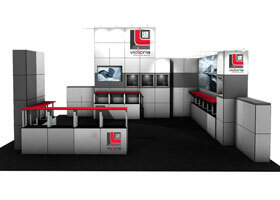 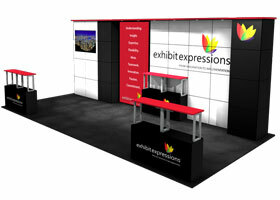 MultiQuad® Exhibit System. 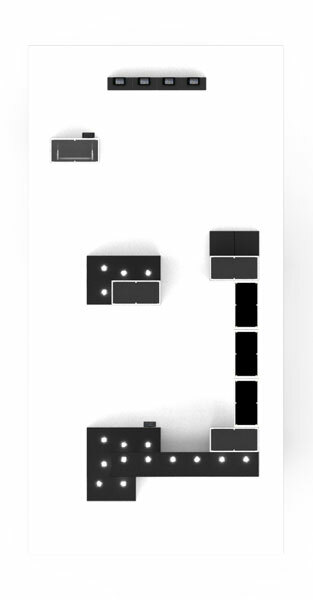 — All rights reserved, 2012.